Welcome to our "Coin Vault"
You will find both US and Foreign coins in my vault; which are available for purchase today. 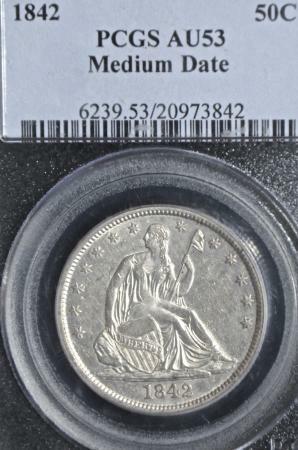 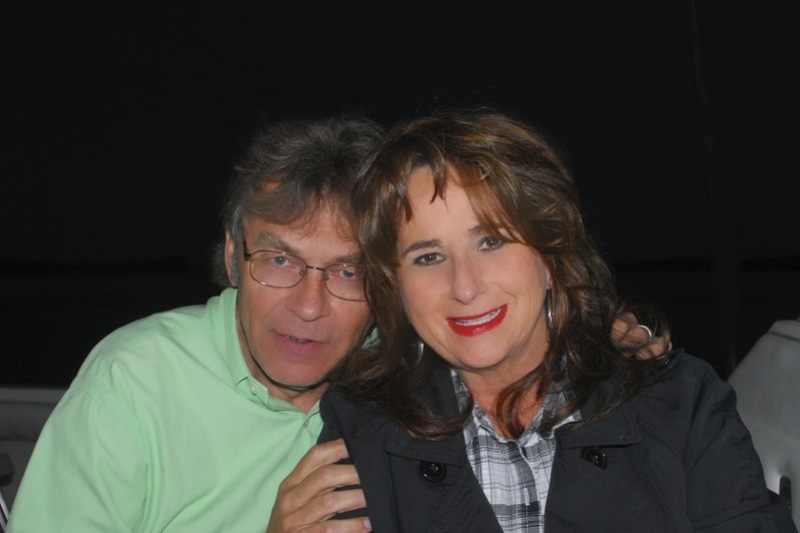 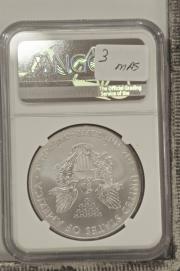 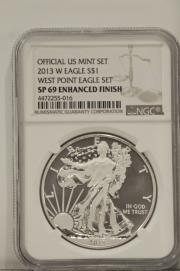 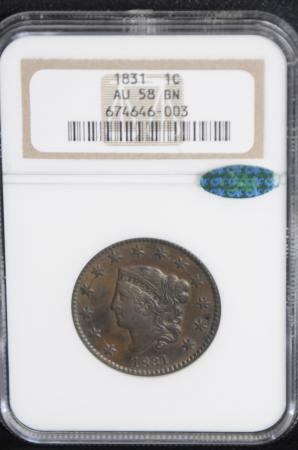 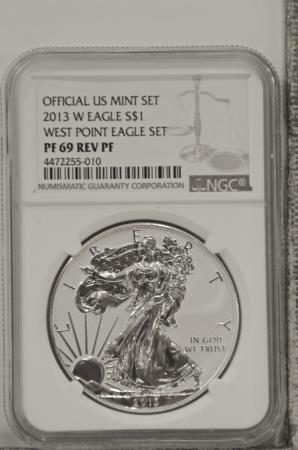 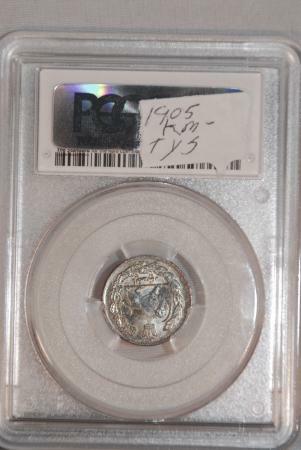 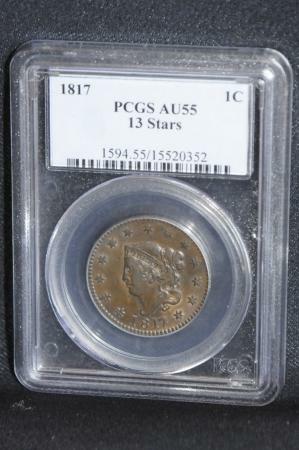 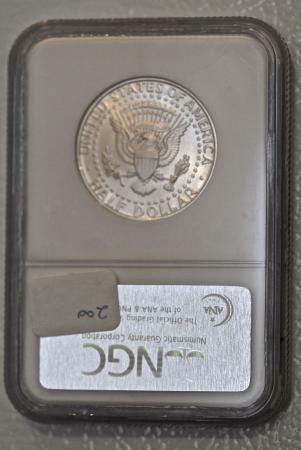 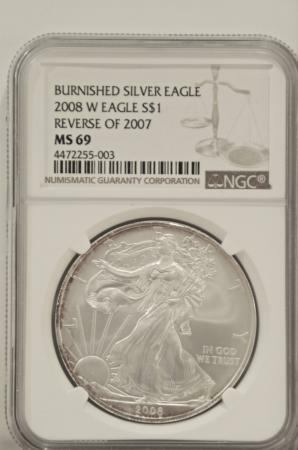 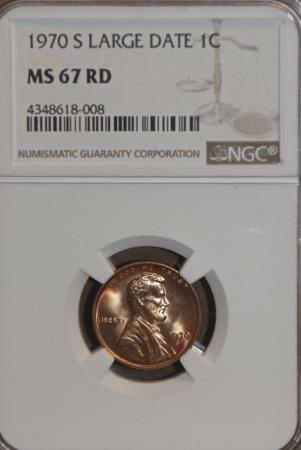 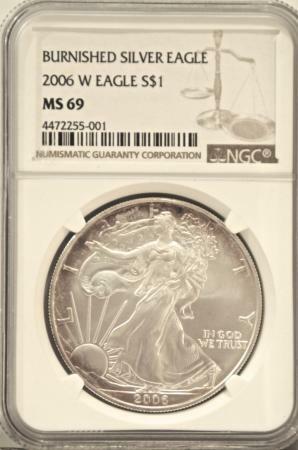 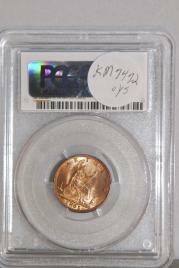 With the help of my wife Rebecca, I am able to post coins on a daily basis once I get them back from being graded. 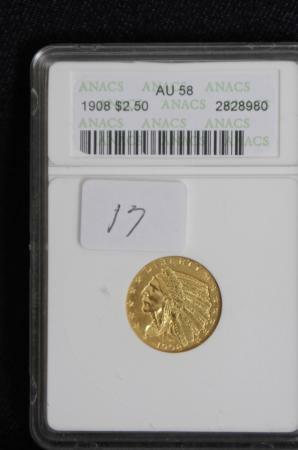 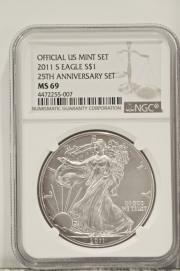 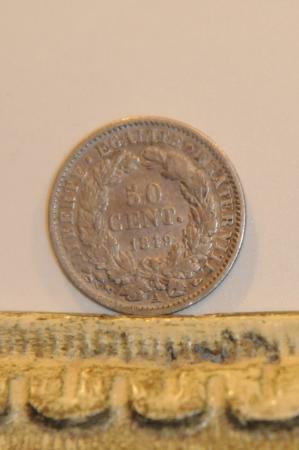 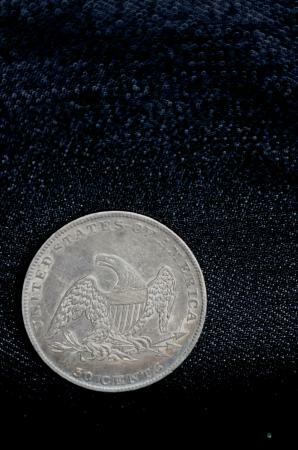 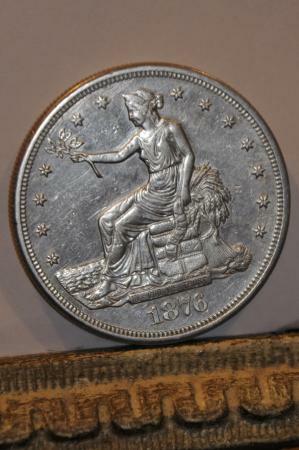 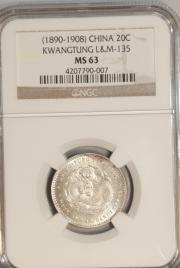 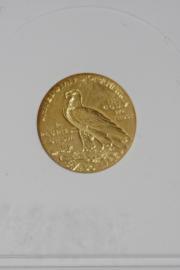 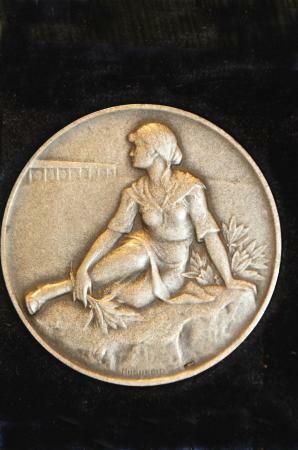 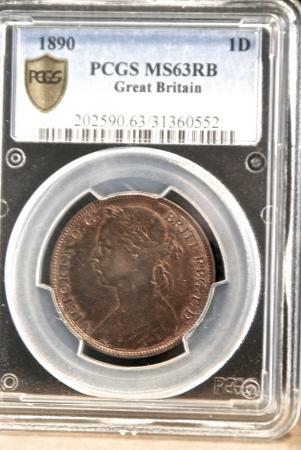 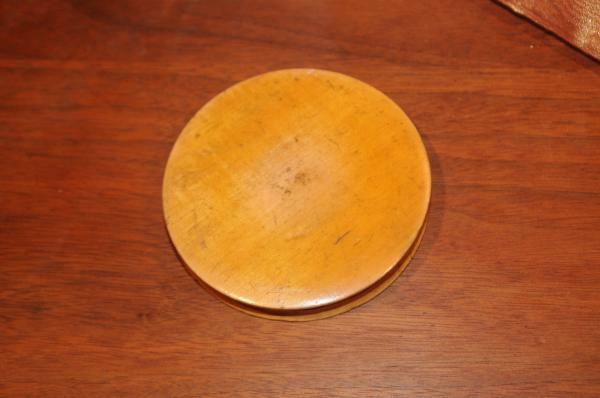 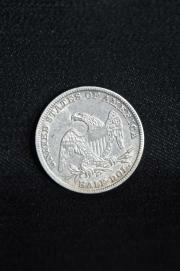 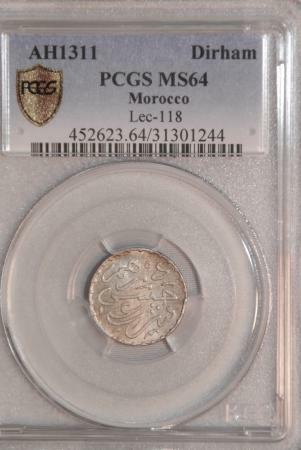 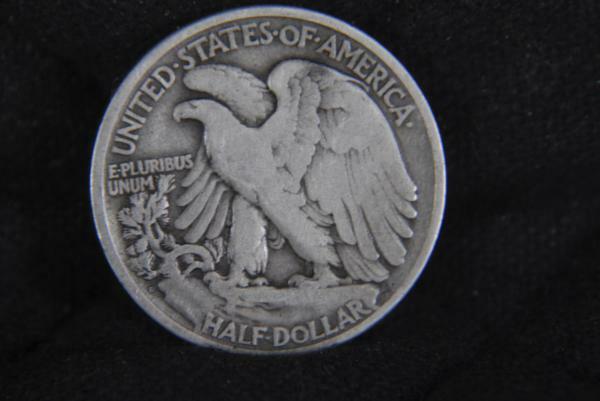 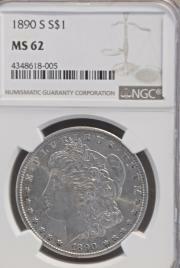 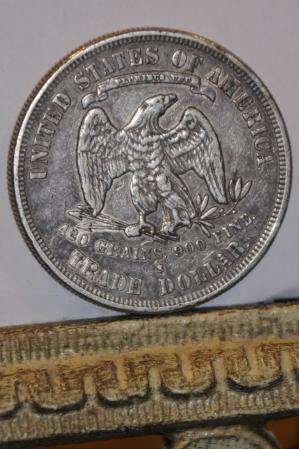 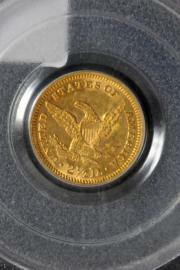 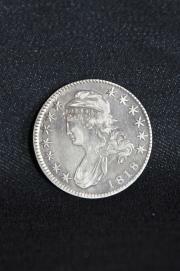 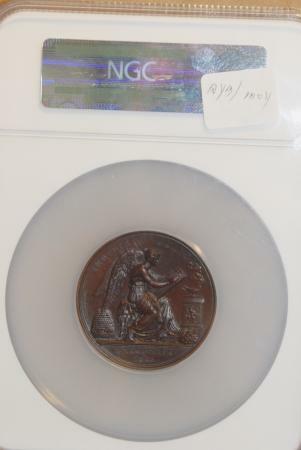 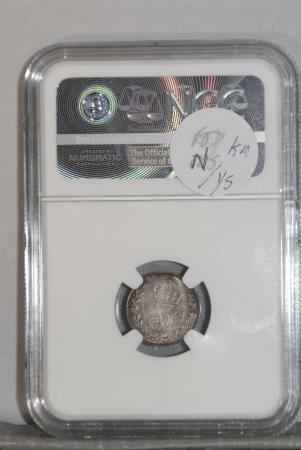 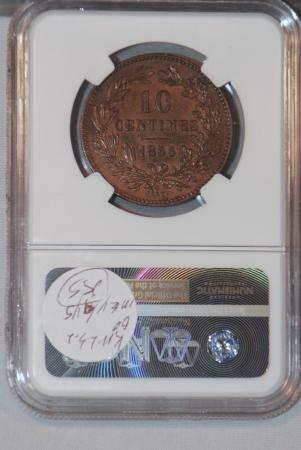 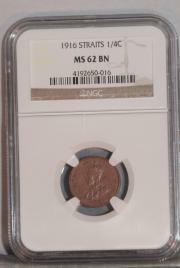 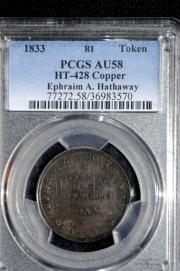 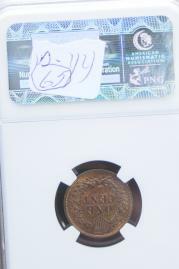 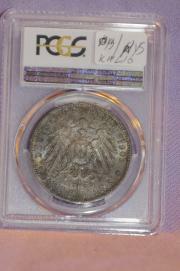 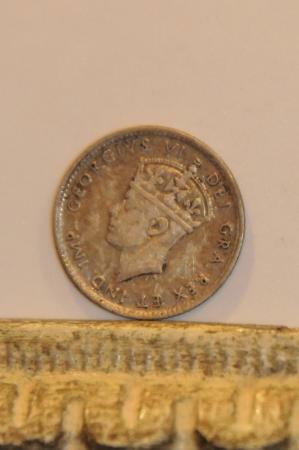 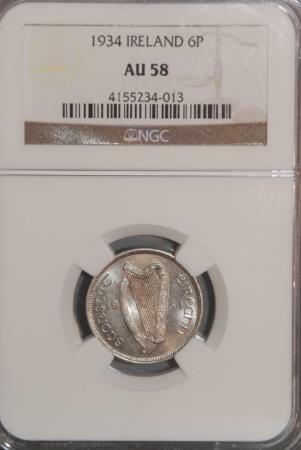 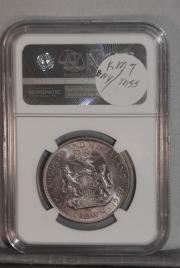 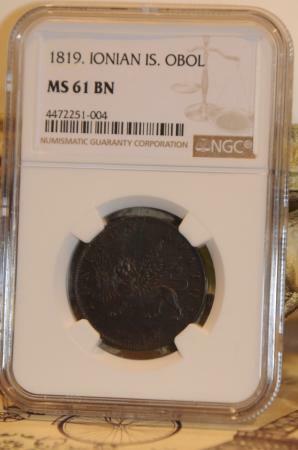 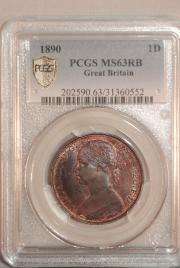 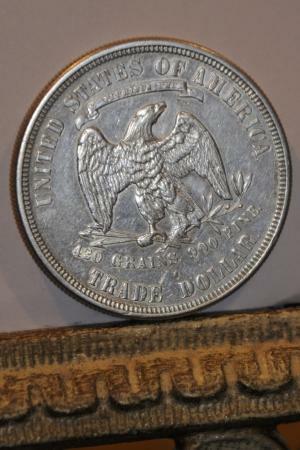 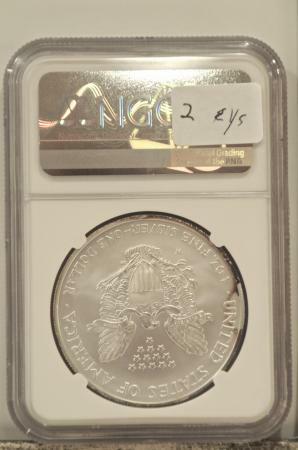 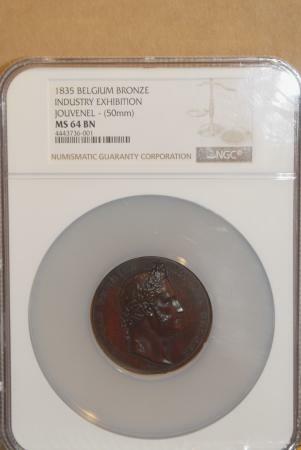 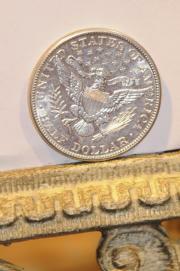 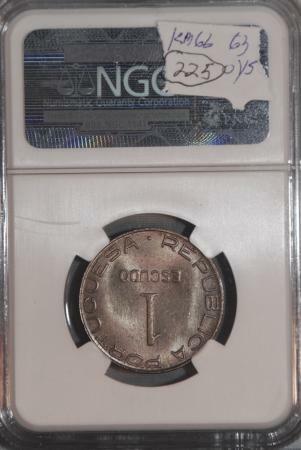 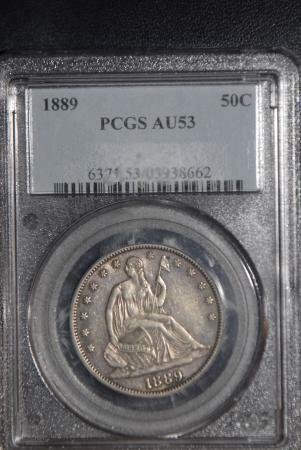 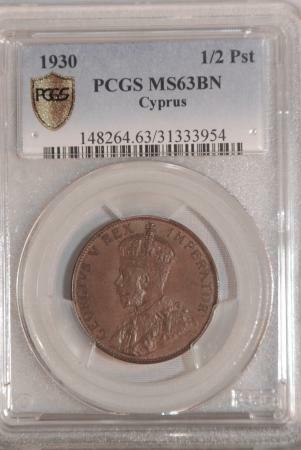 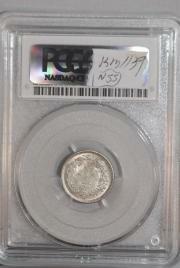 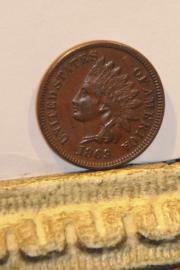 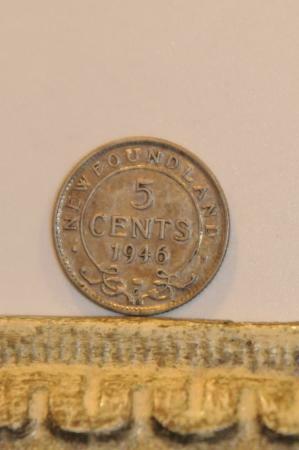 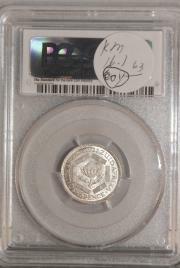 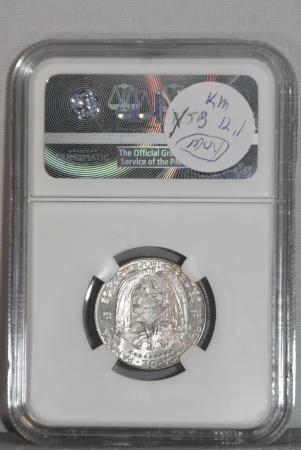 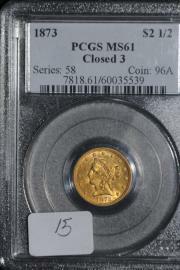 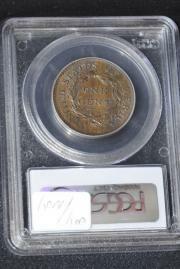 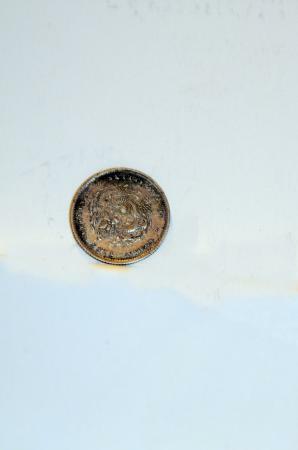 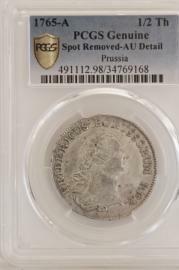 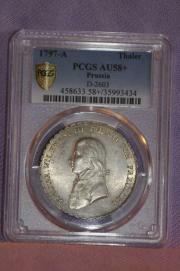 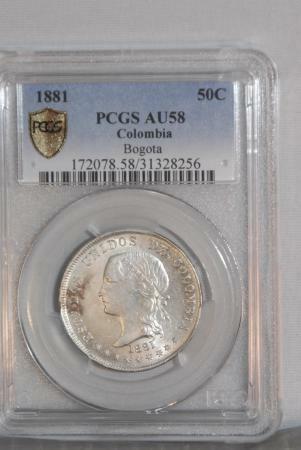 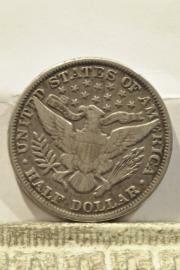 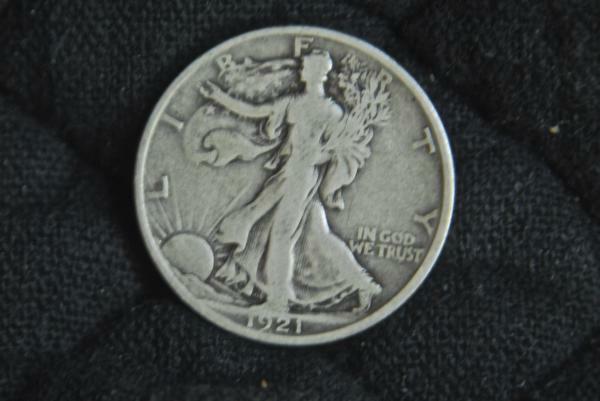 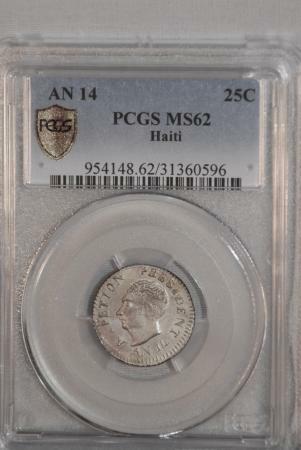 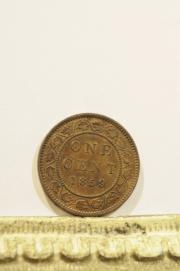 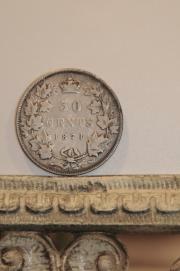 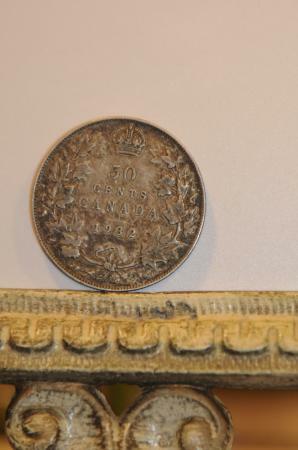 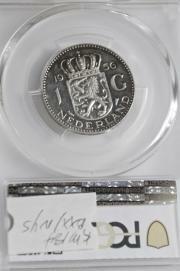 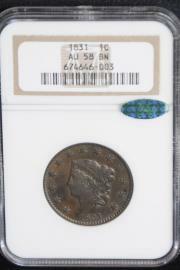 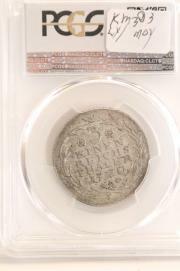 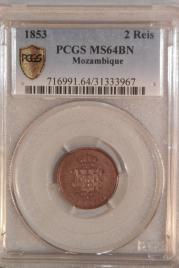 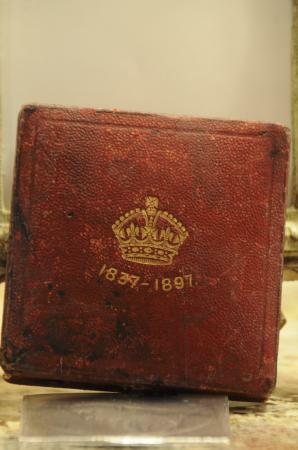 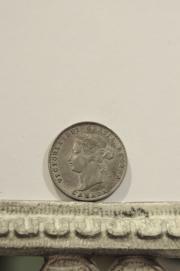 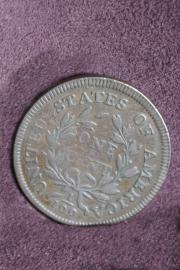 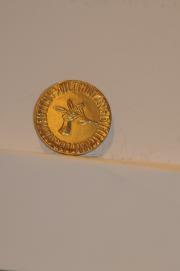 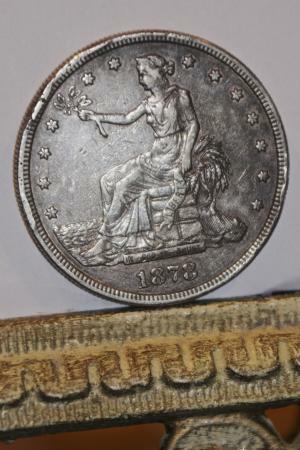 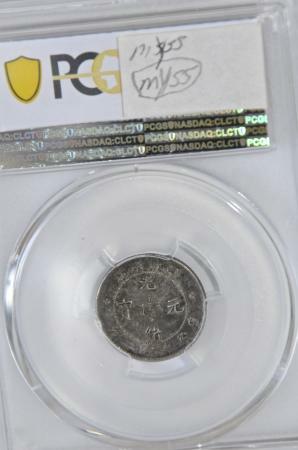 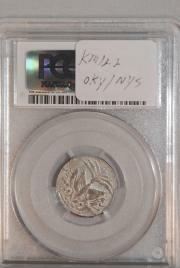 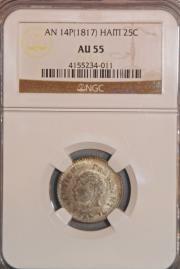 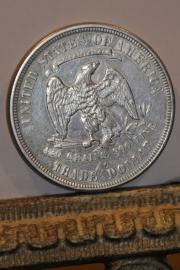 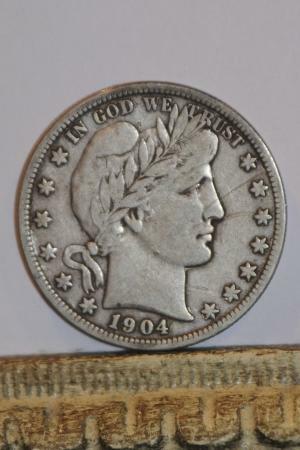 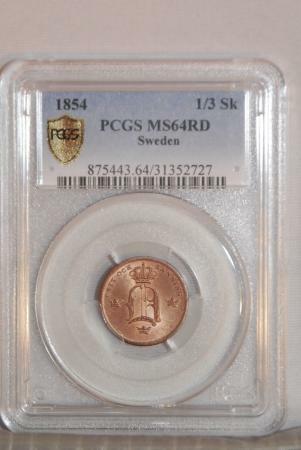 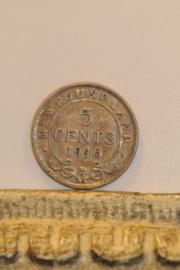 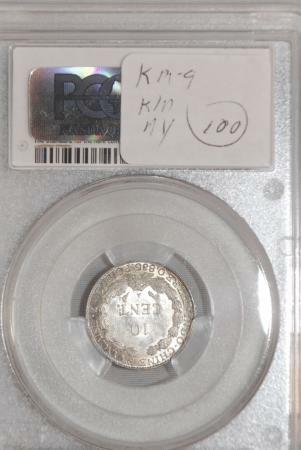 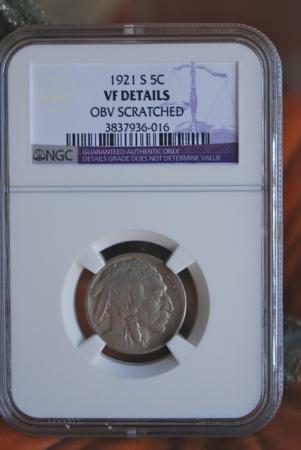 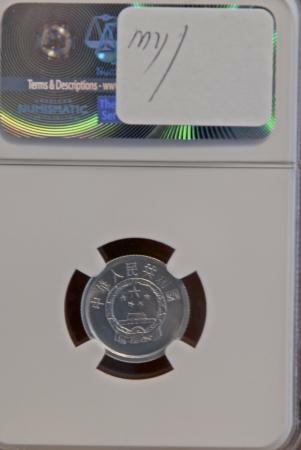 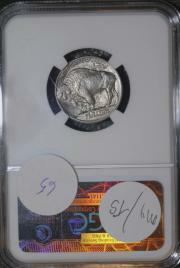 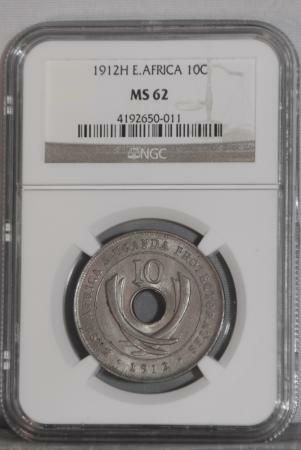 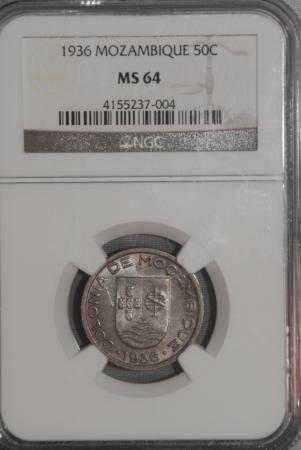 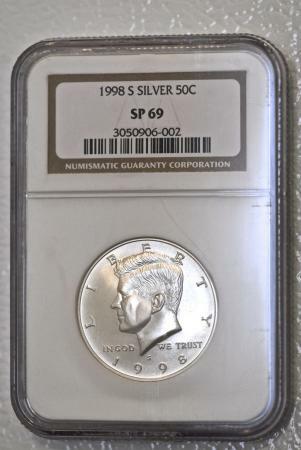 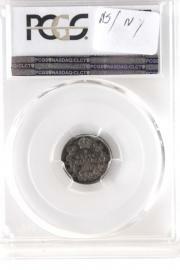 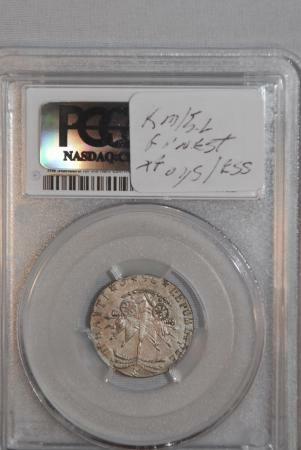 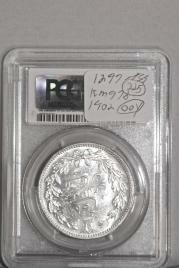 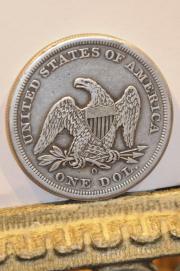 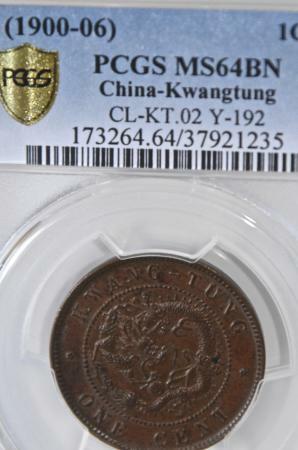 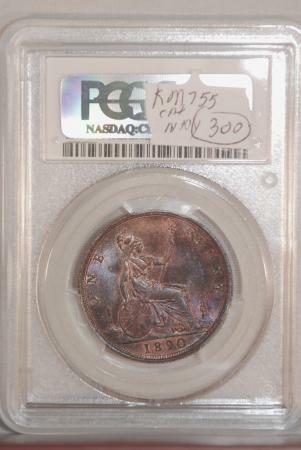 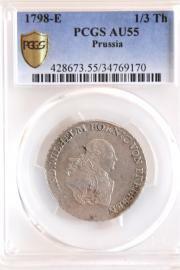 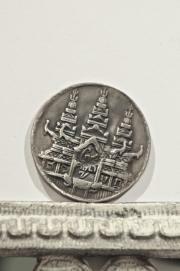 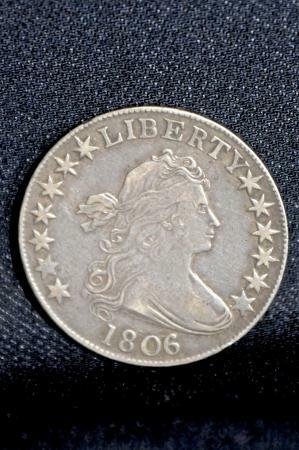 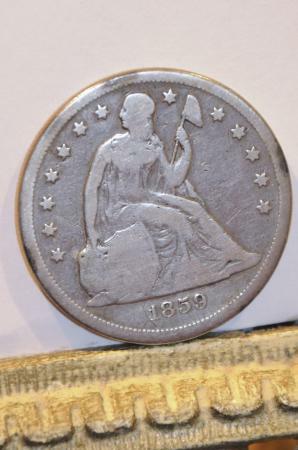 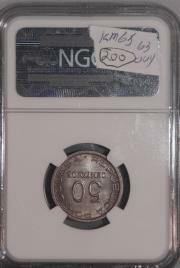 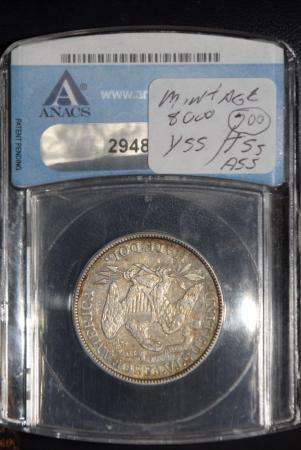 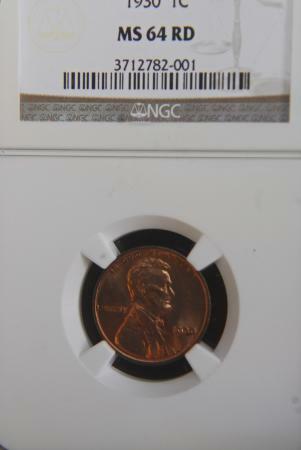 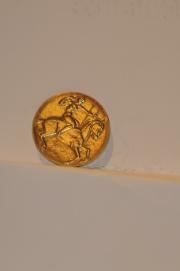 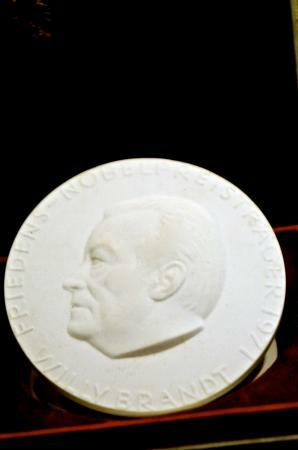 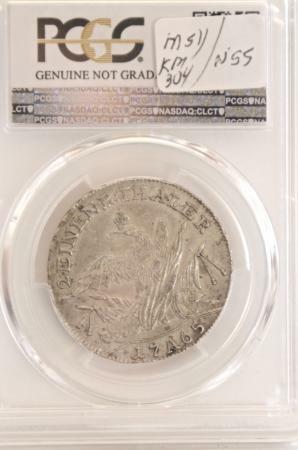 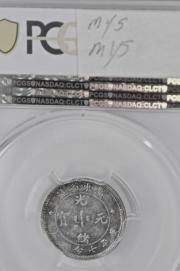 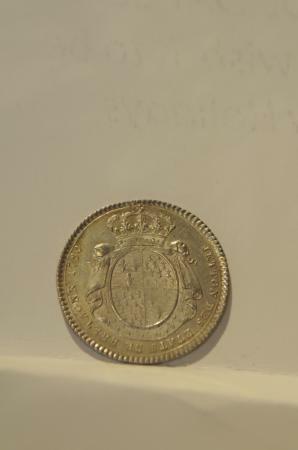 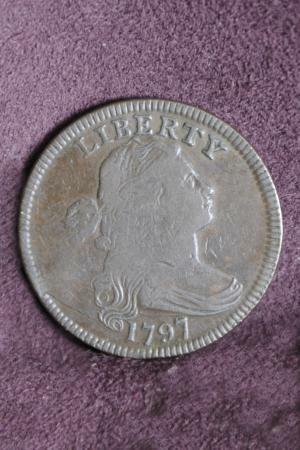 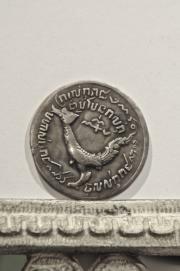 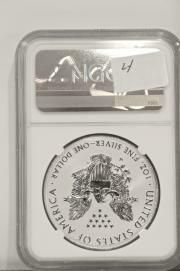 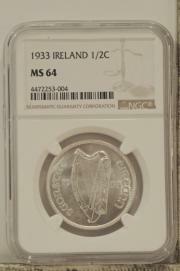 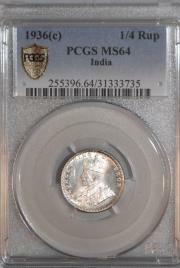 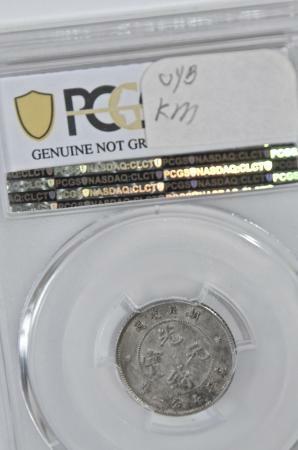 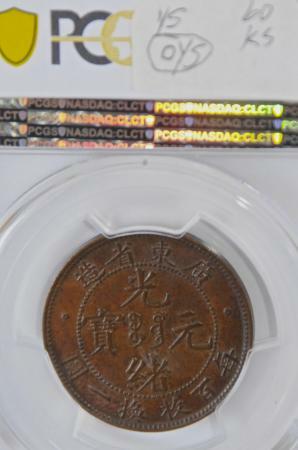 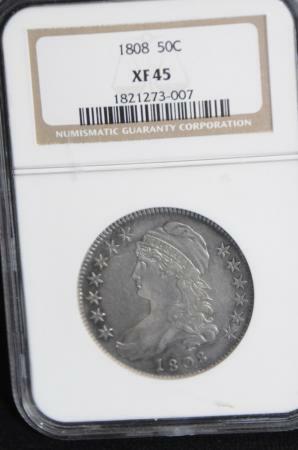 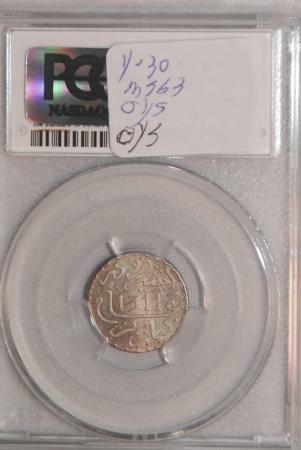 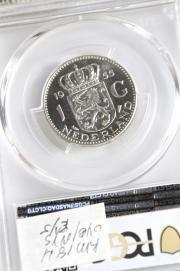 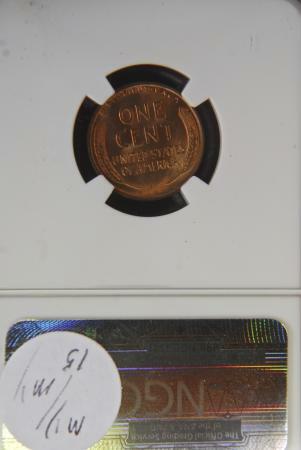 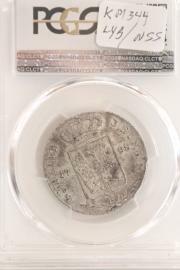 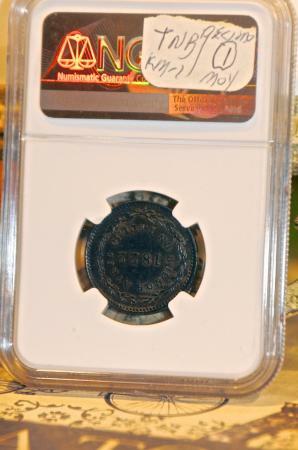 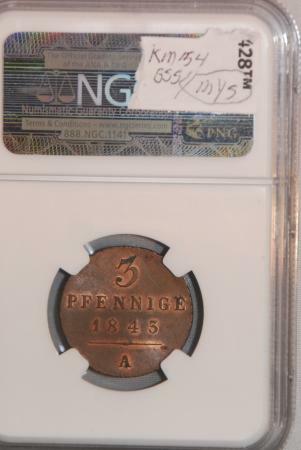 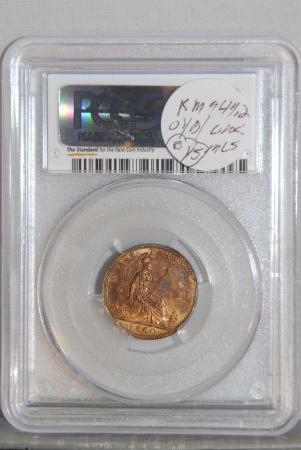 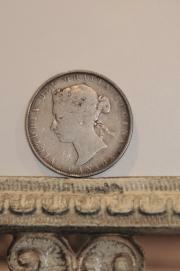 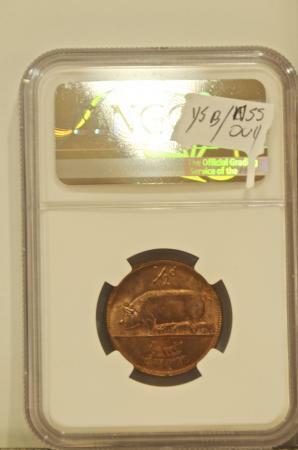 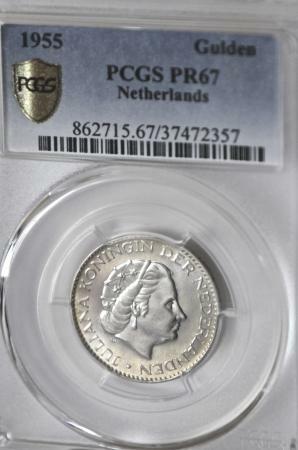 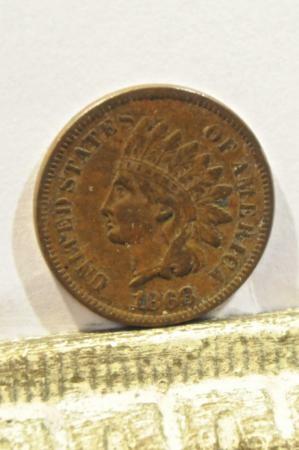 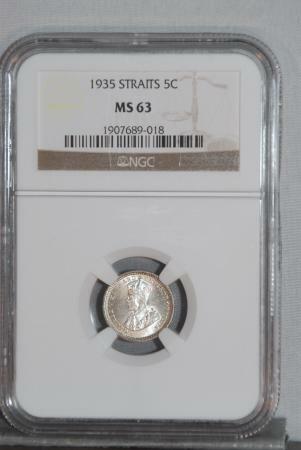 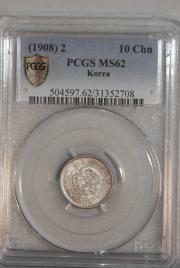 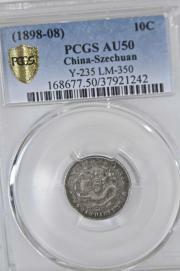 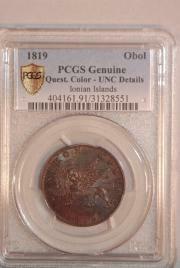 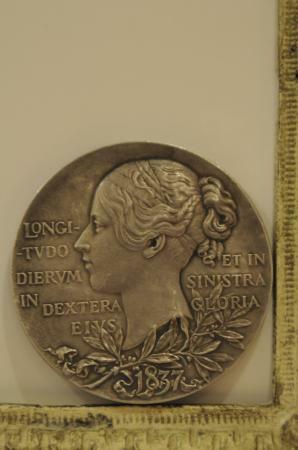 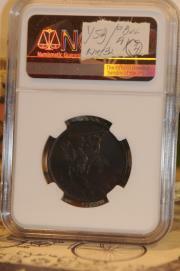 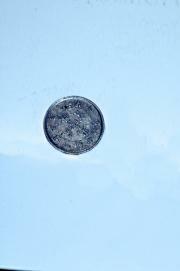 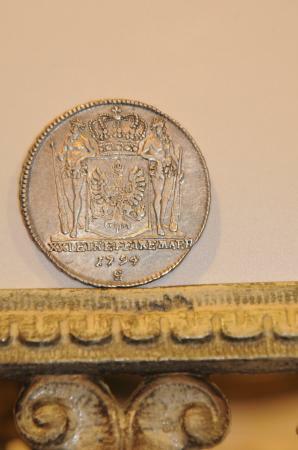 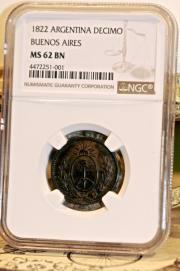 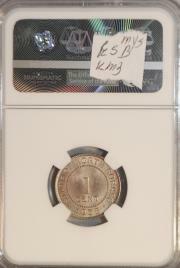 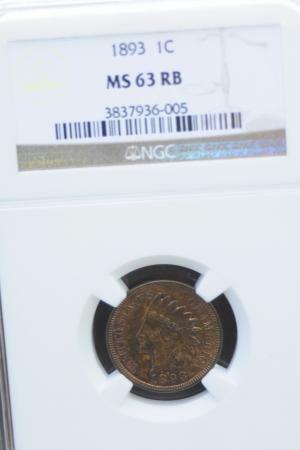 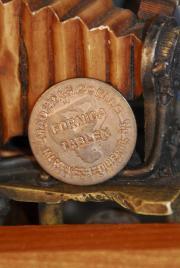 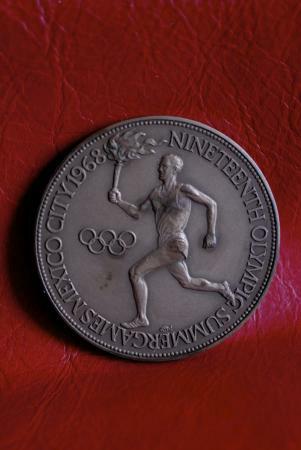 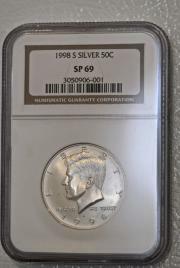 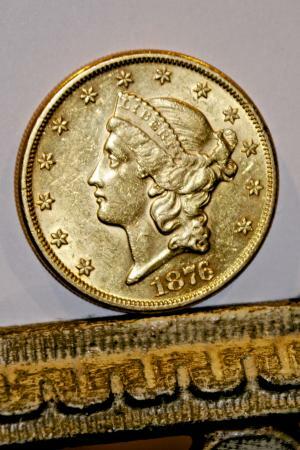 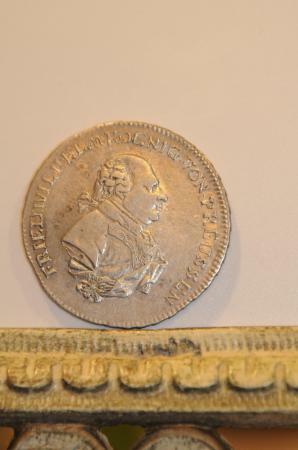 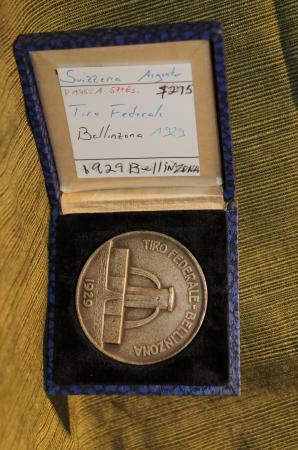 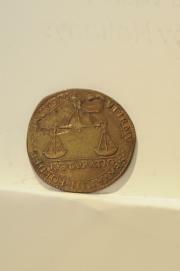 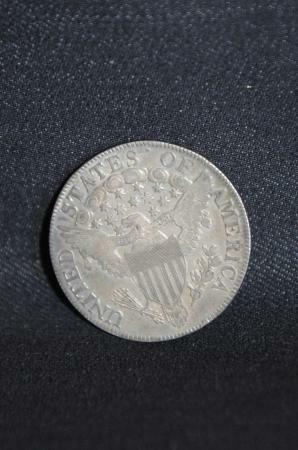 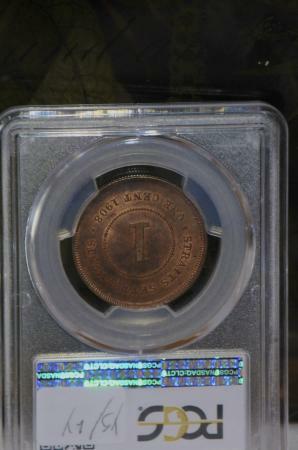 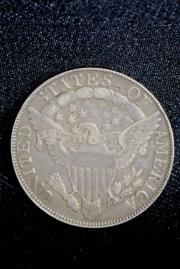 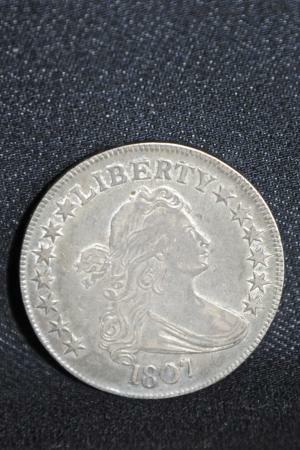 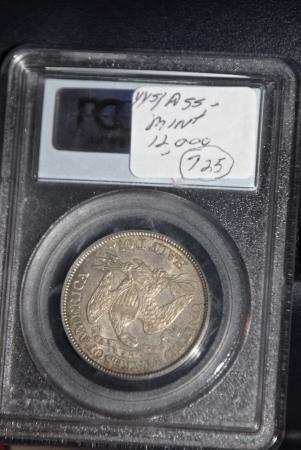 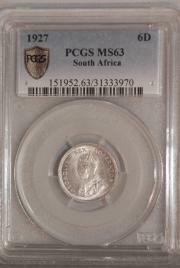 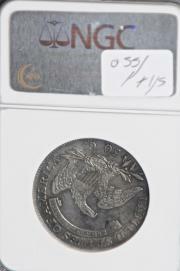 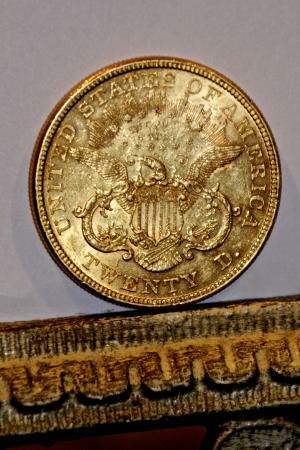 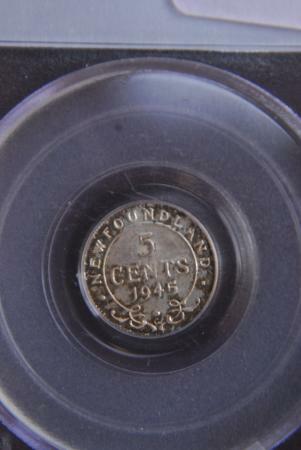 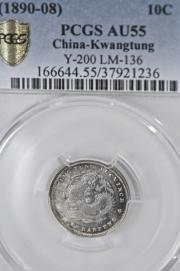 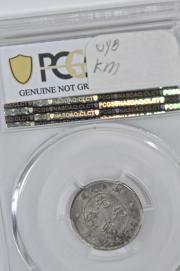 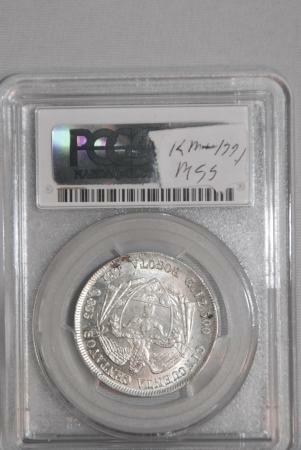 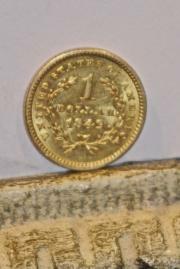 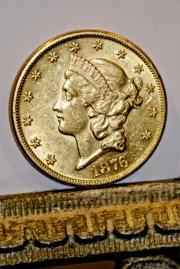 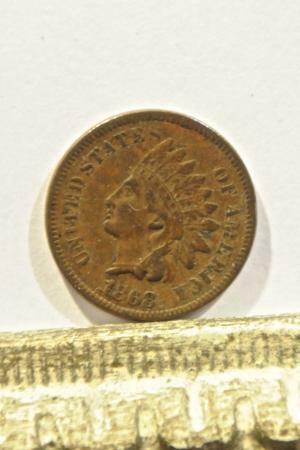 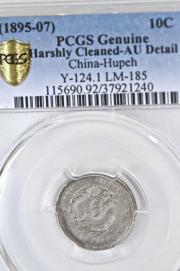 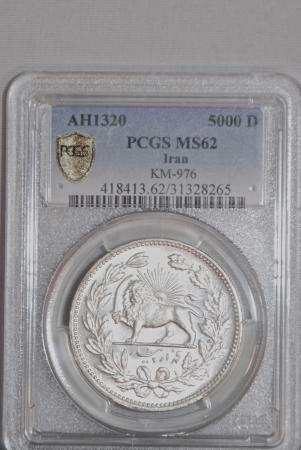 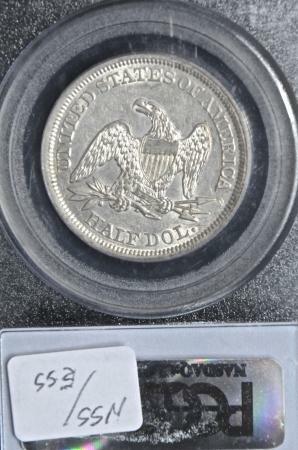 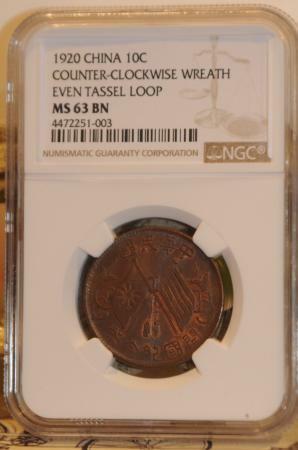 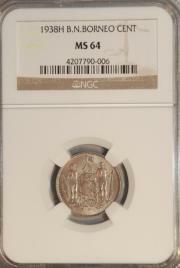 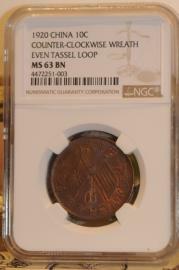 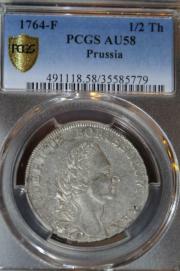 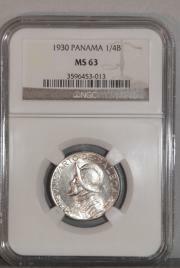 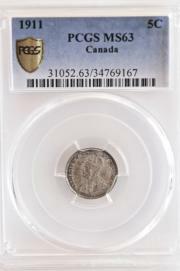 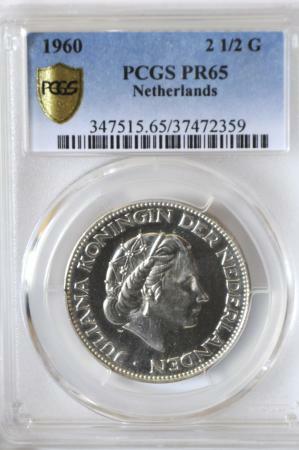 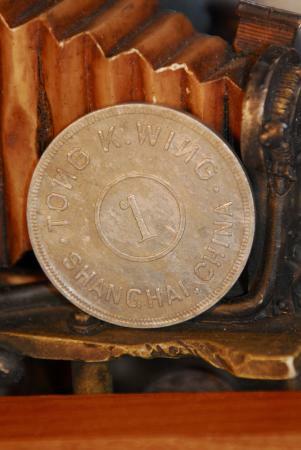 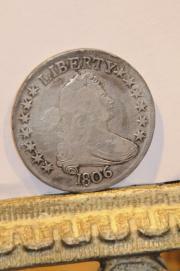 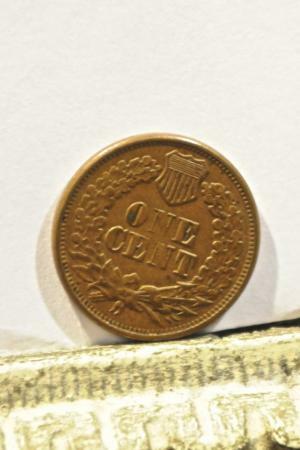 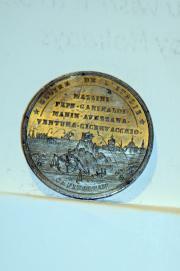 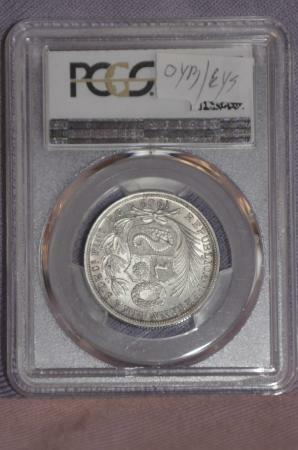 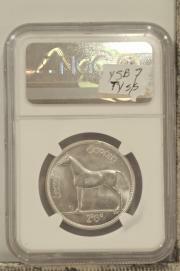 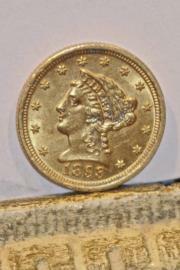 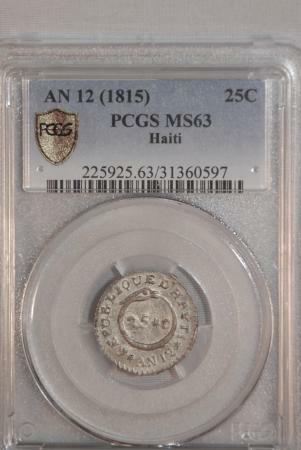 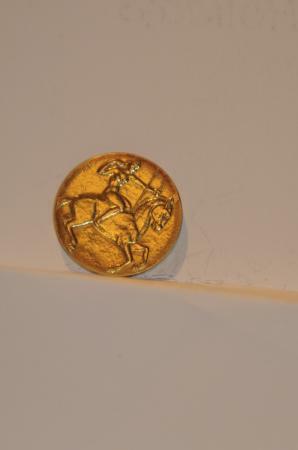 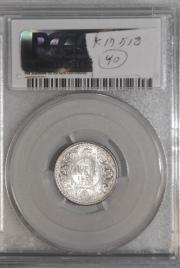 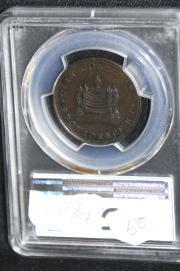 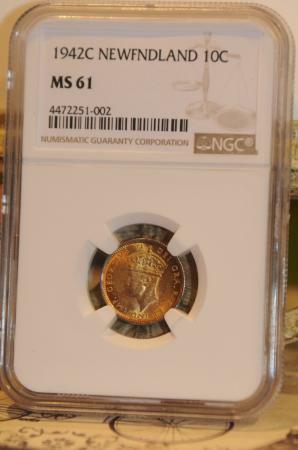 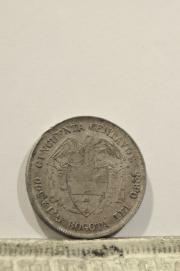 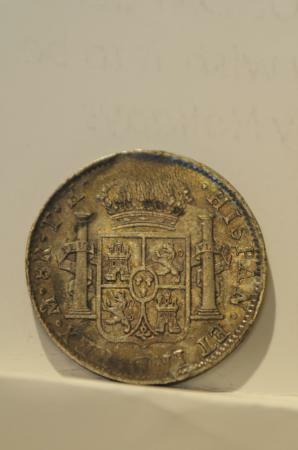 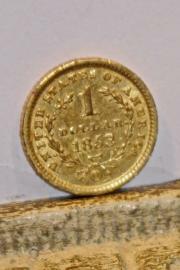 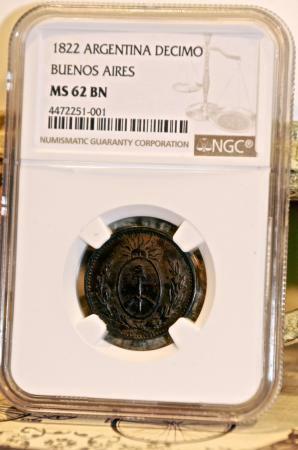 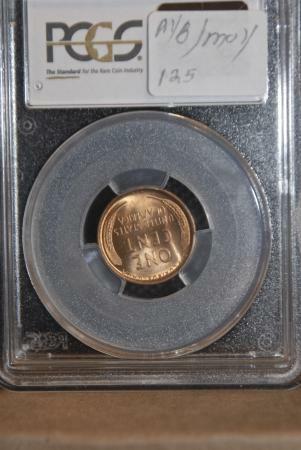 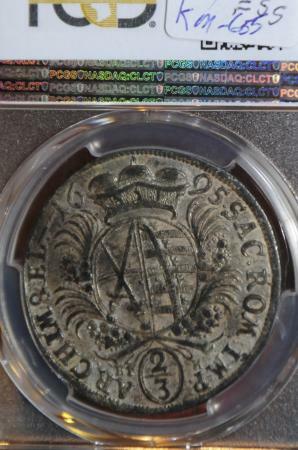 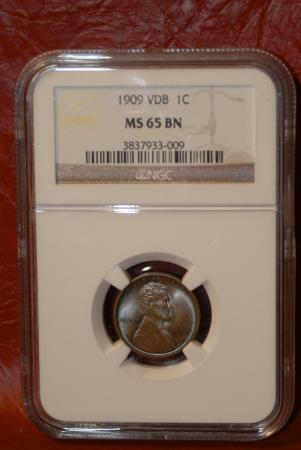 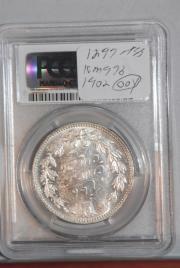 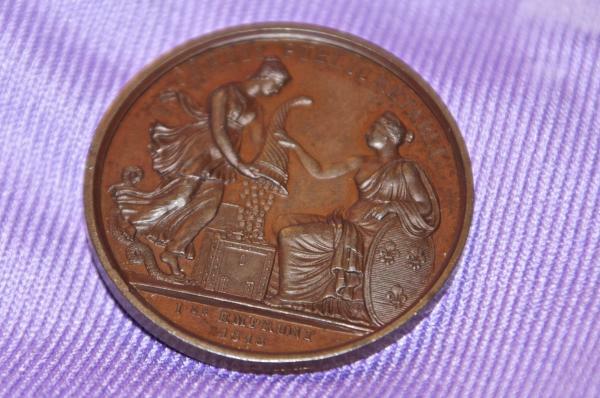 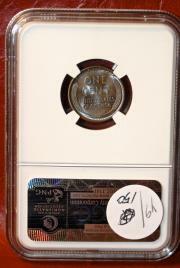 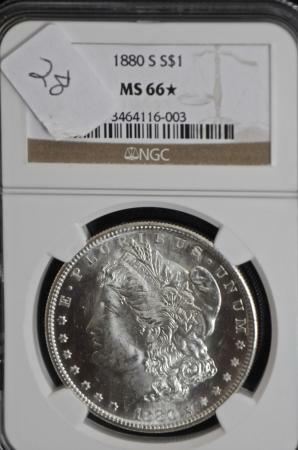 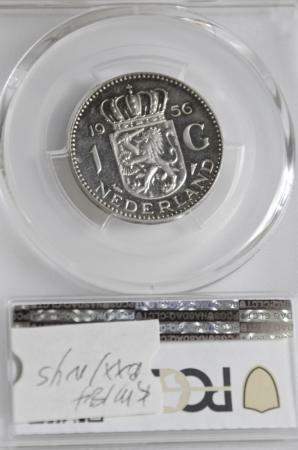 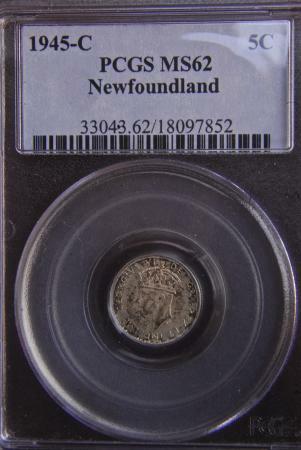 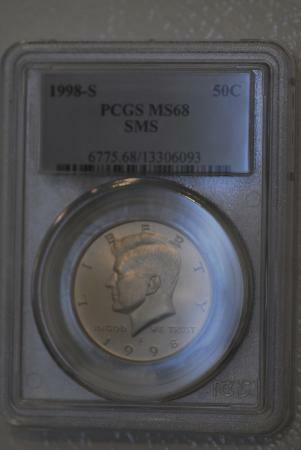 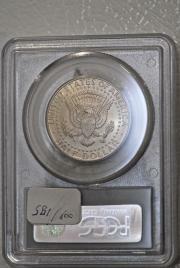 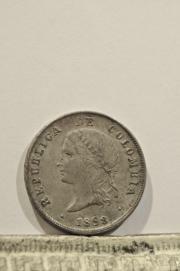 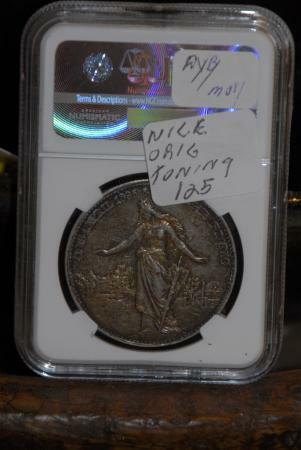 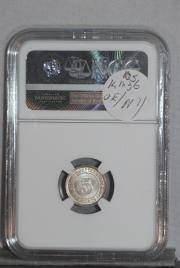 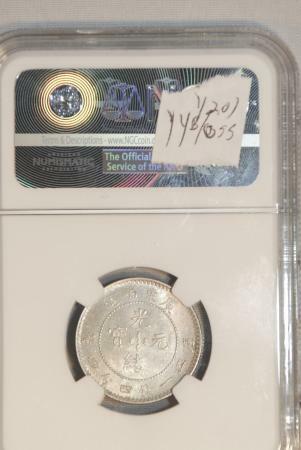 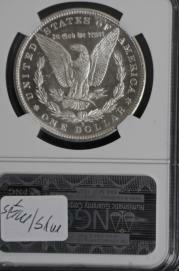 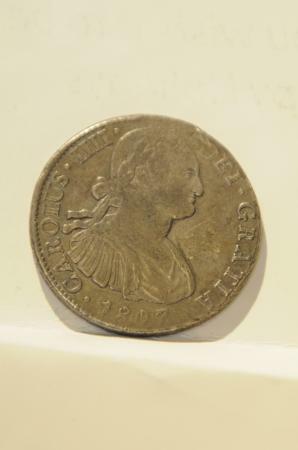 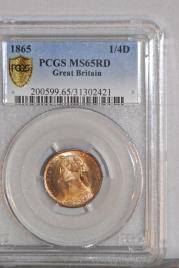 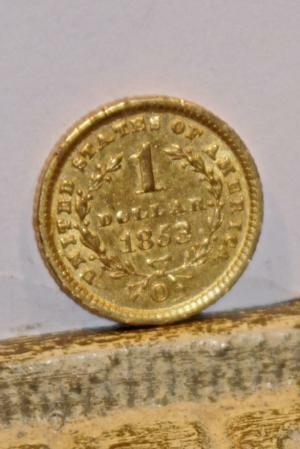 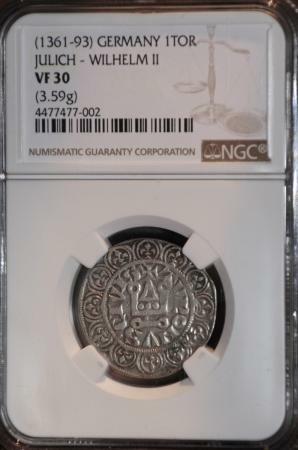 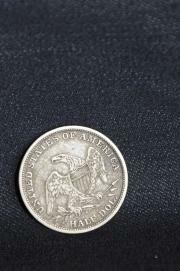 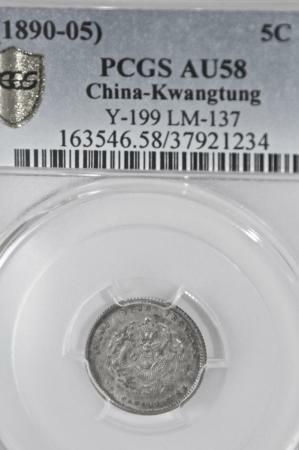 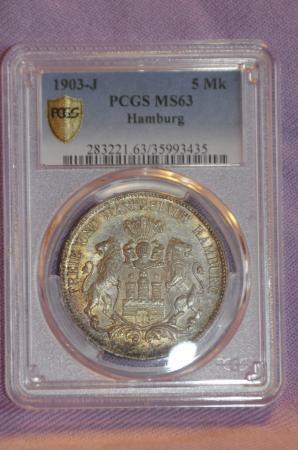 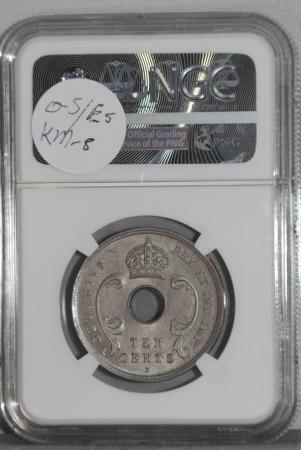 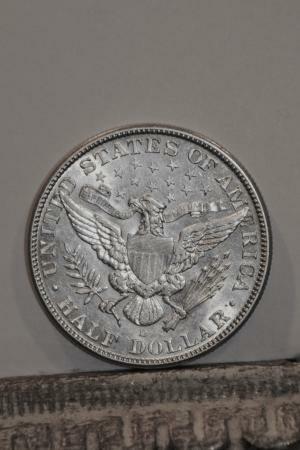 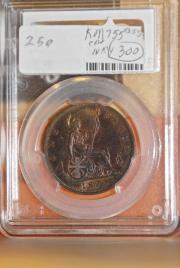 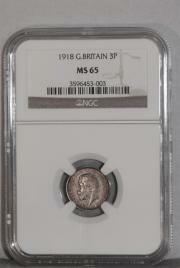 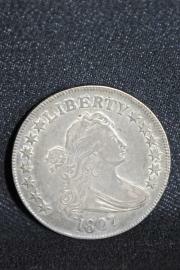 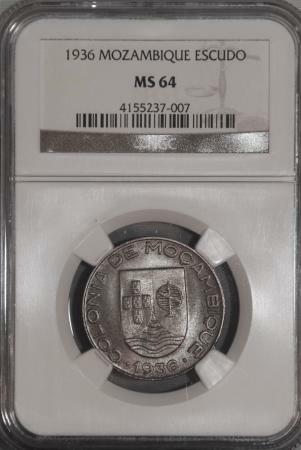 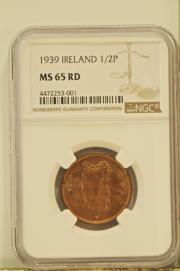 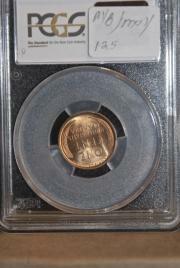 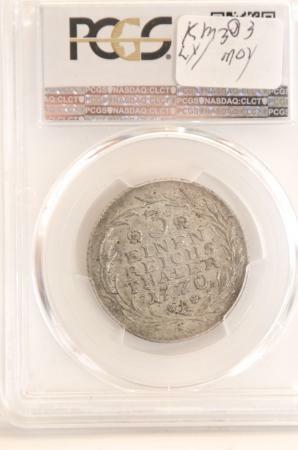 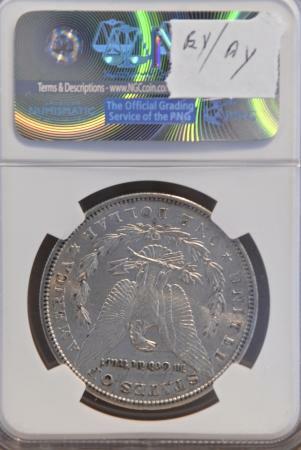 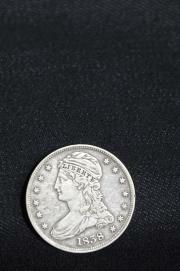 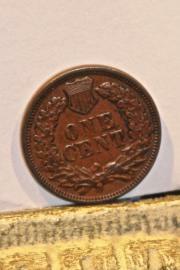 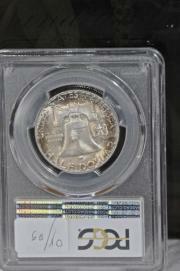 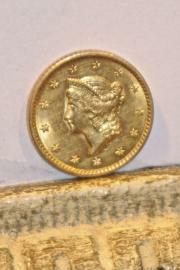 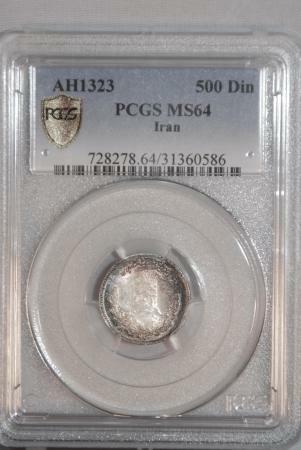 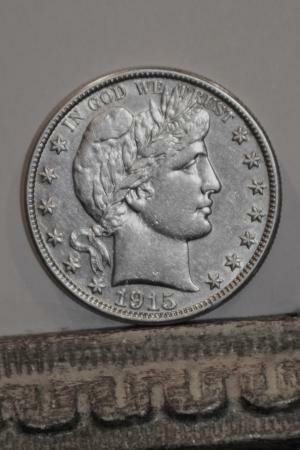 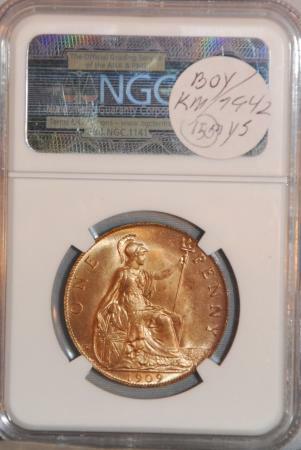 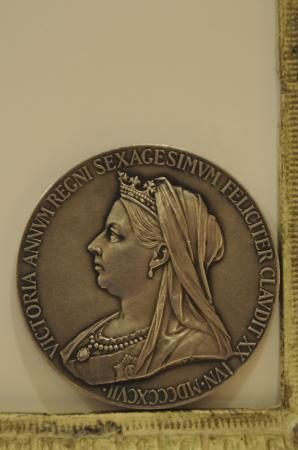 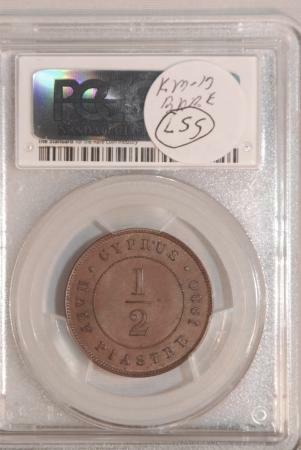 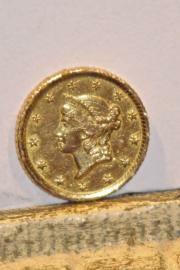 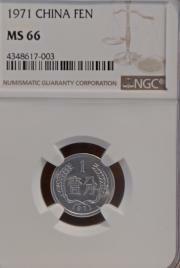 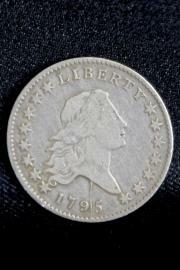 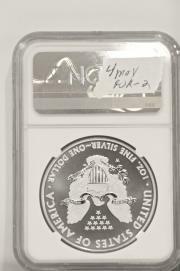 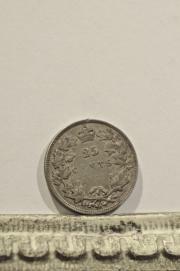 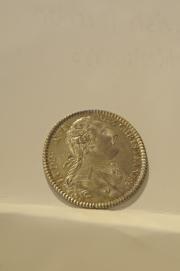 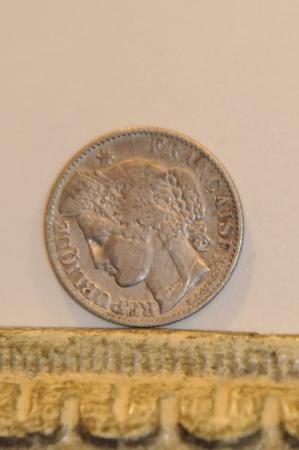 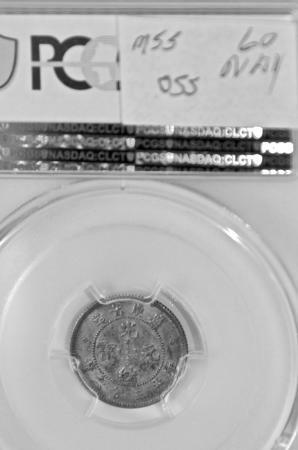 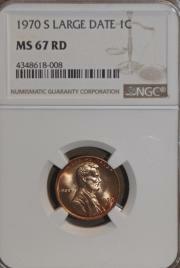 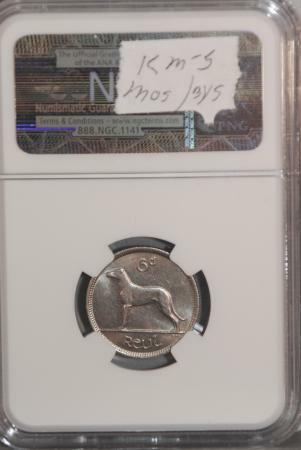 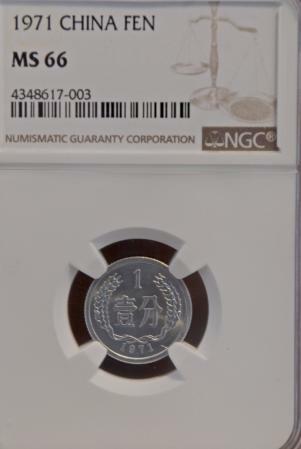 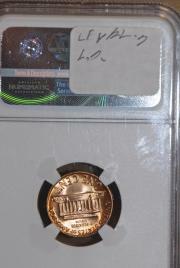 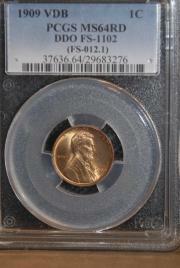 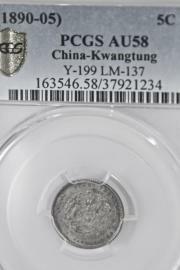 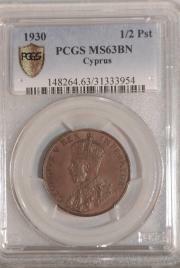 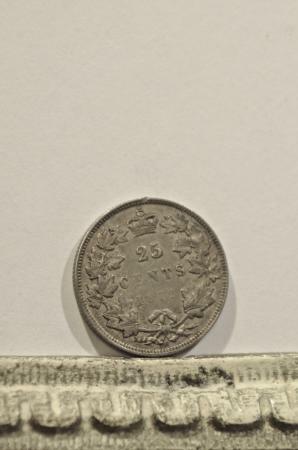 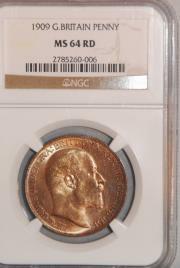 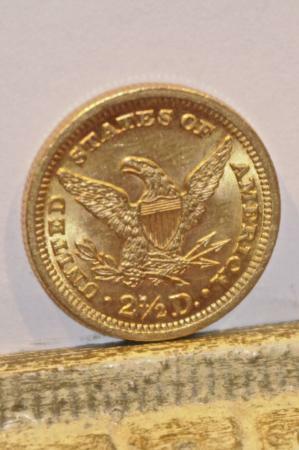 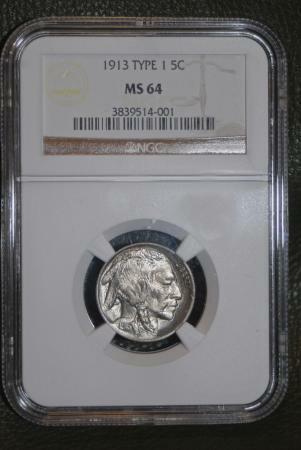 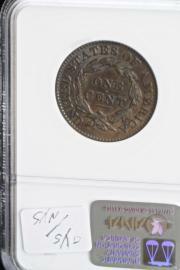 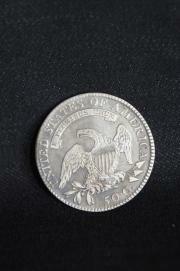 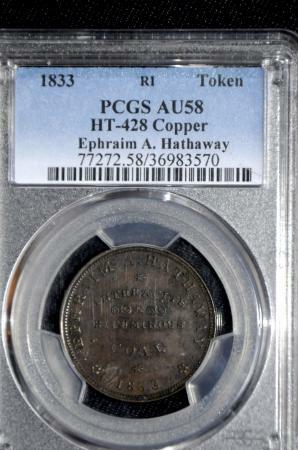 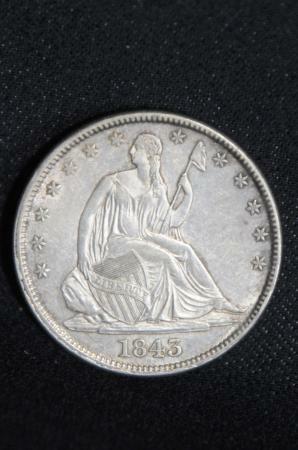 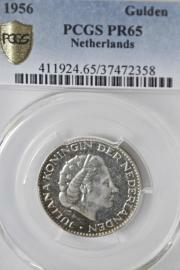 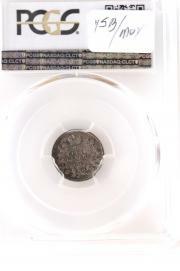 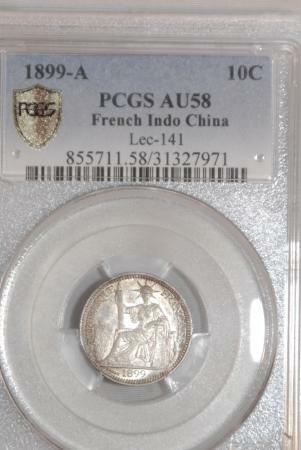 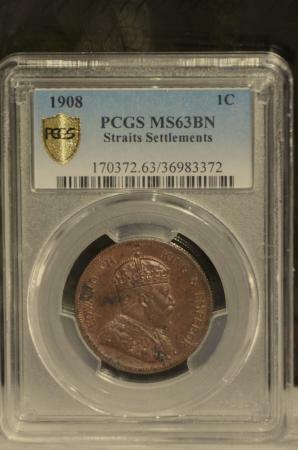 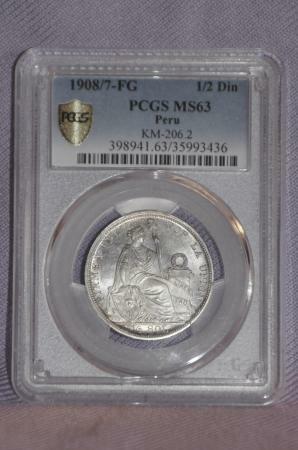 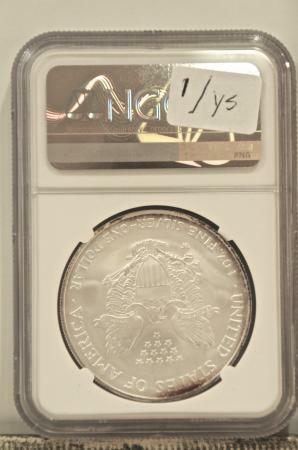 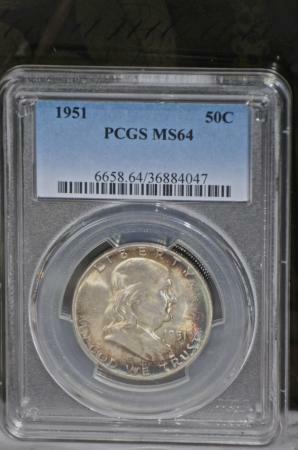 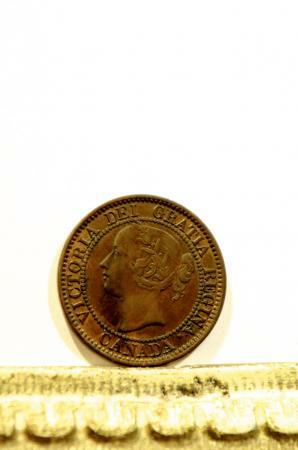 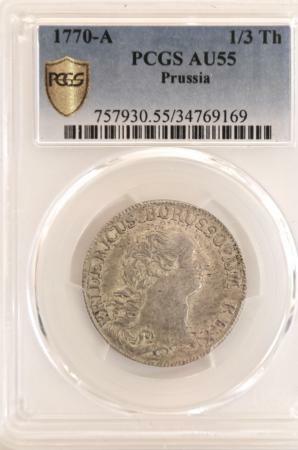 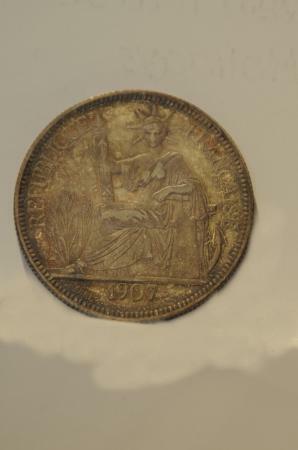 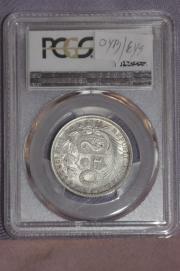 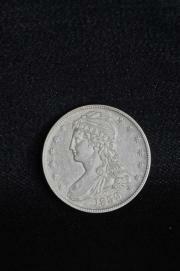 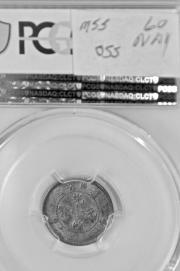 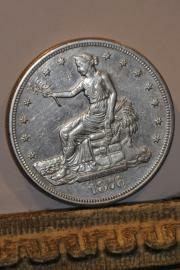 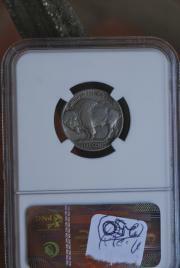 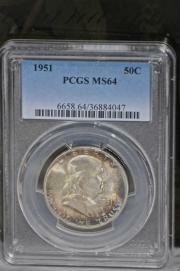 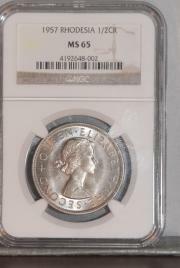 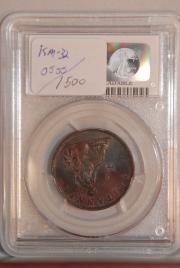 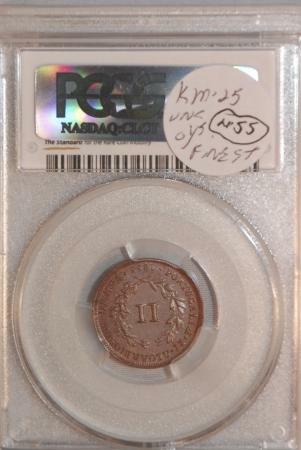 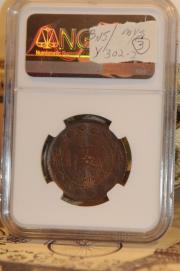 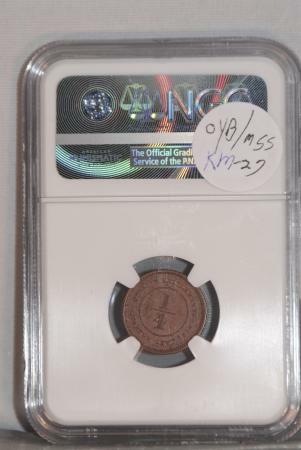 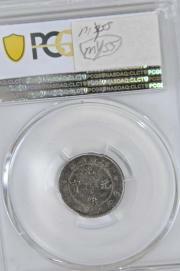 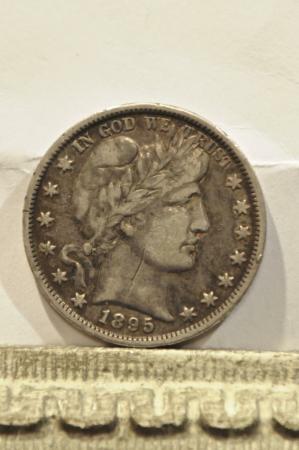 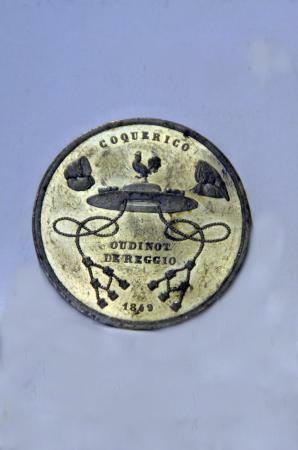 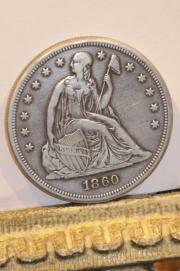 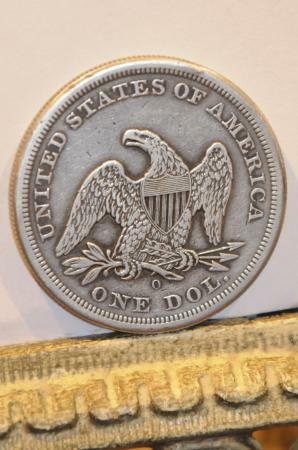 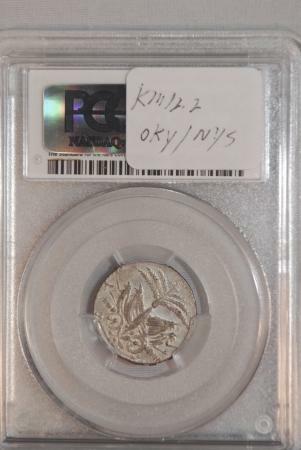 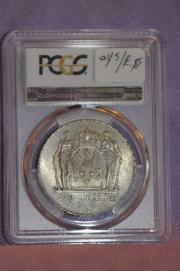 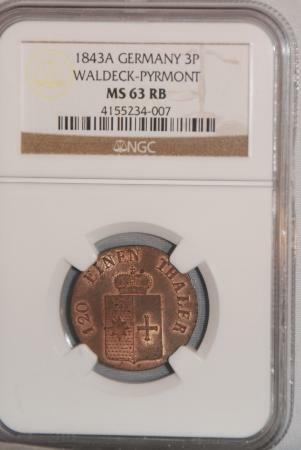 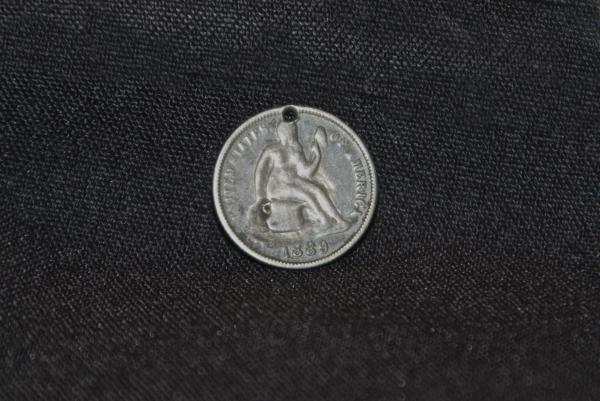 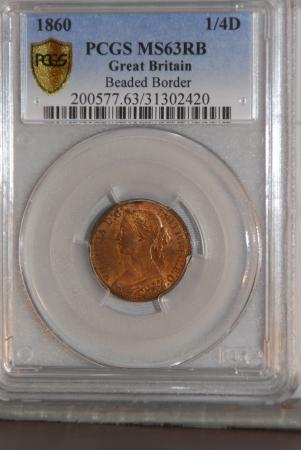 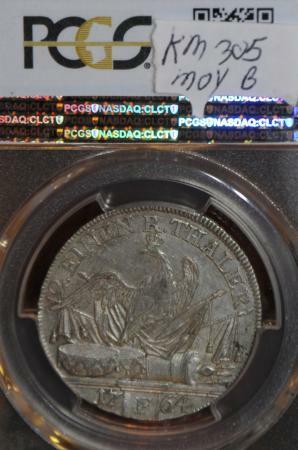 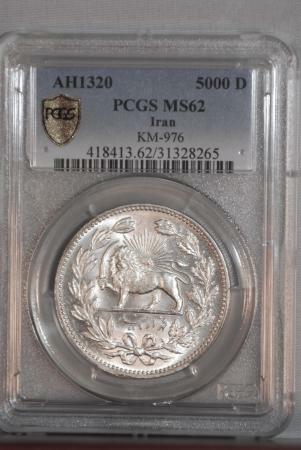 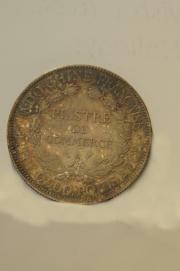 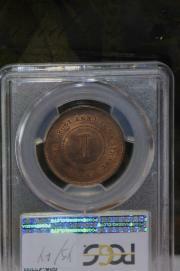 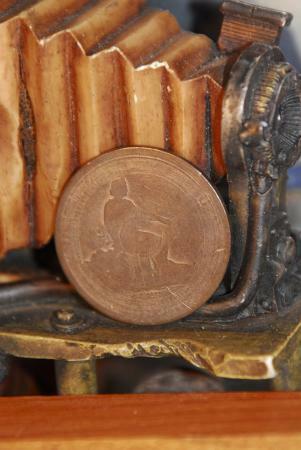 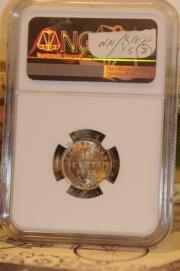 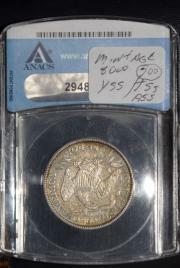 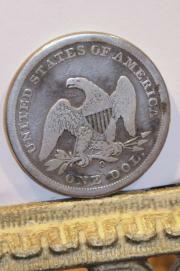 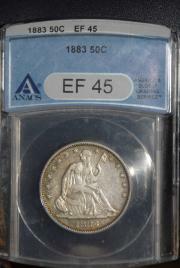 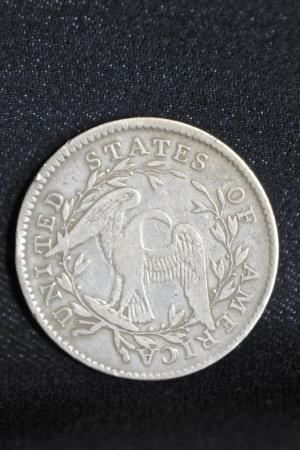 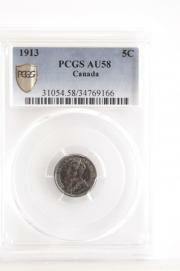 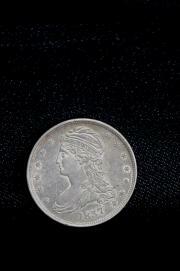 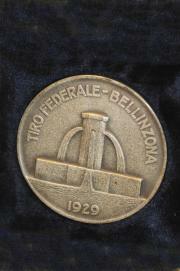 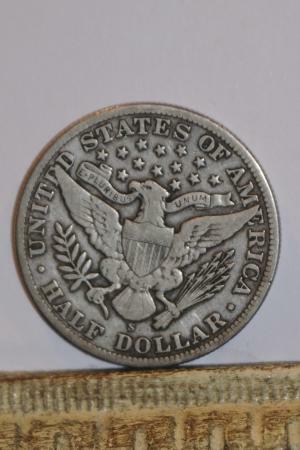 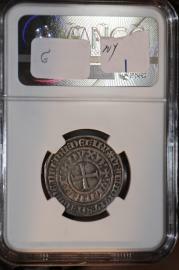 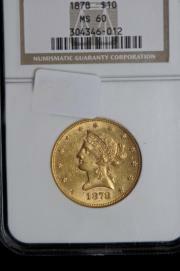 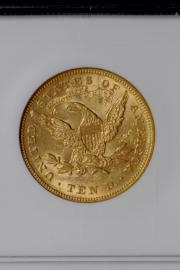 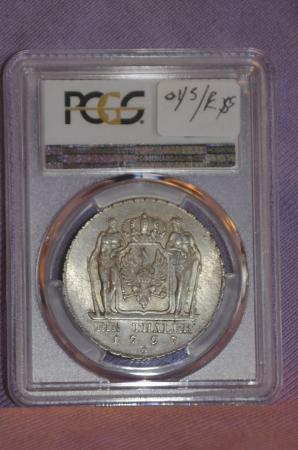 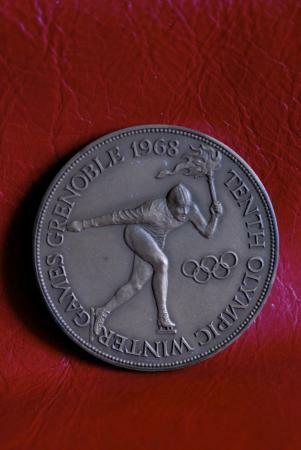 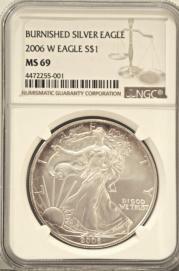 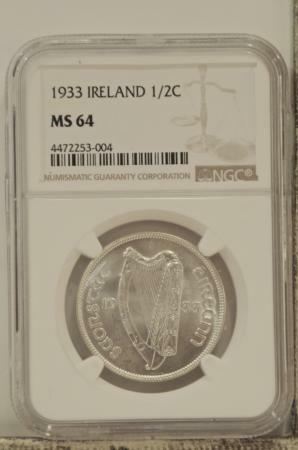 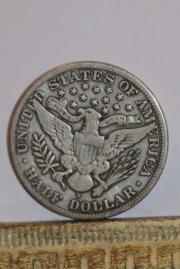 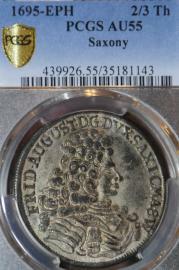 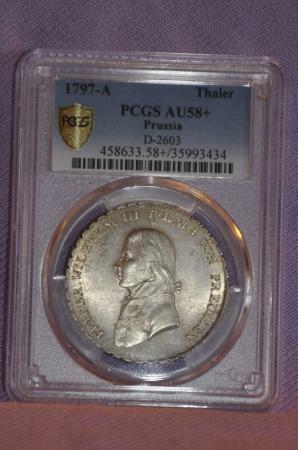 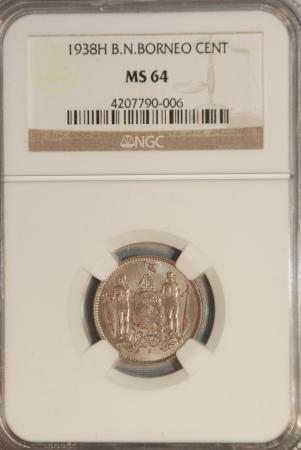 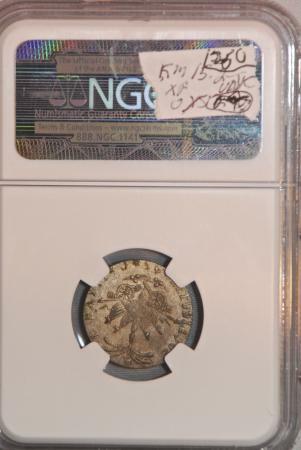 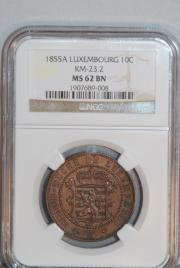 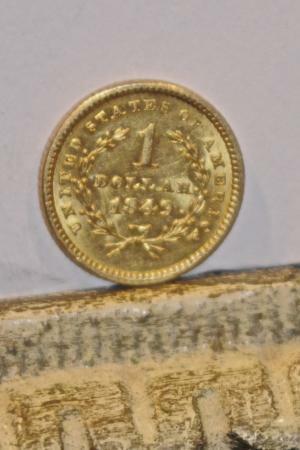 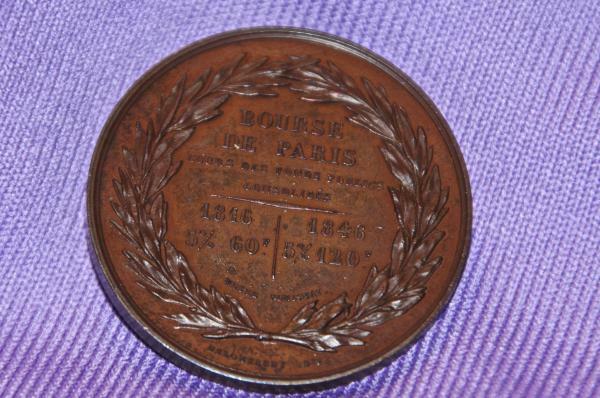 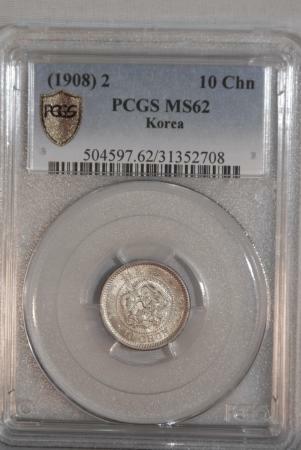 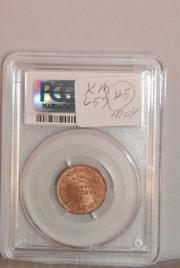 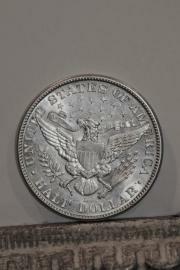 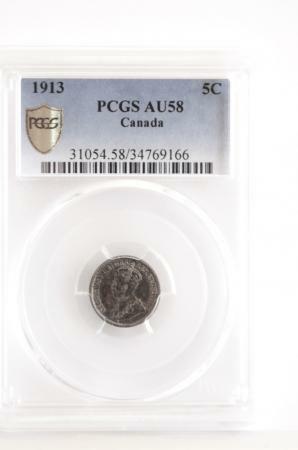 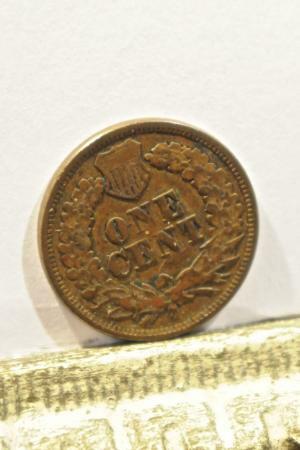 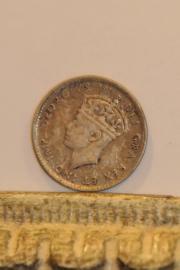 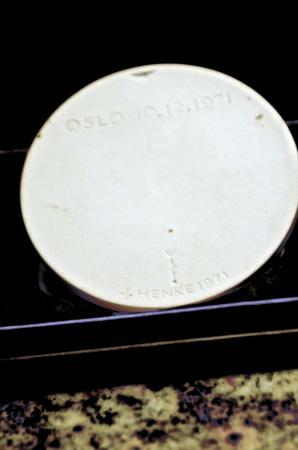 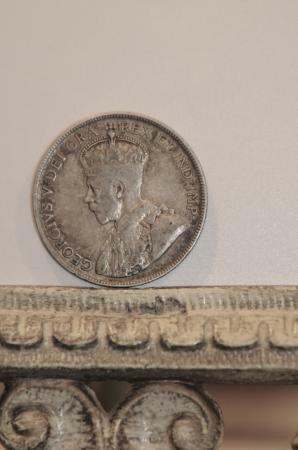 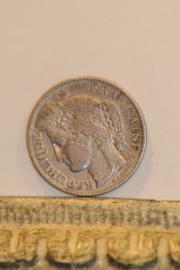 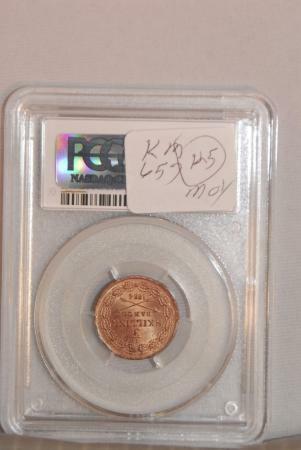 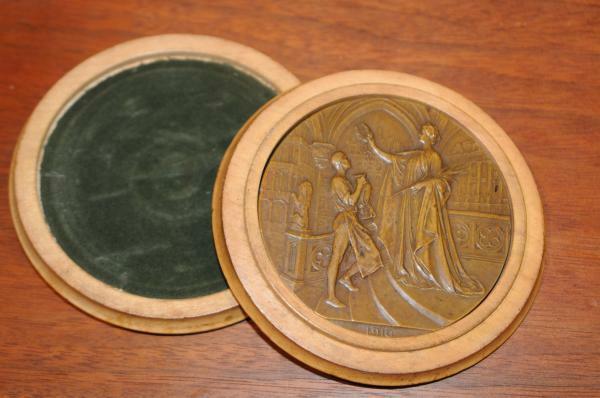 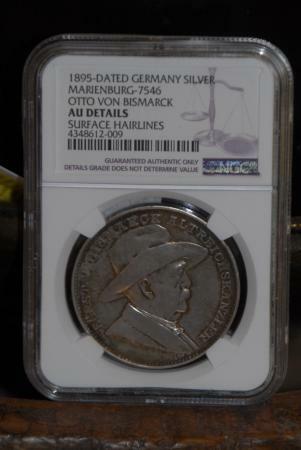 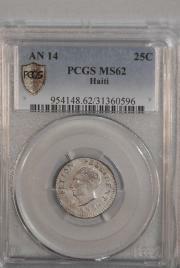 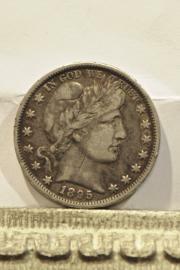 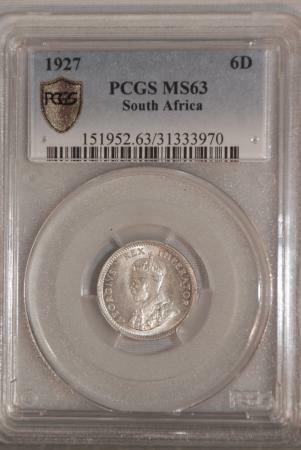 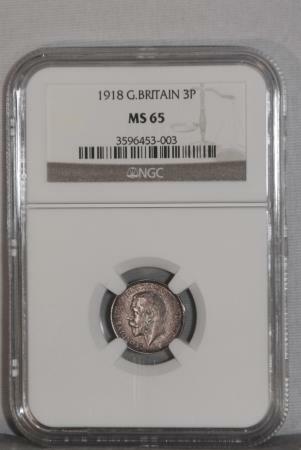 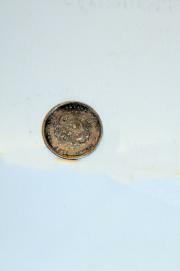 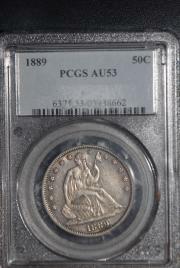 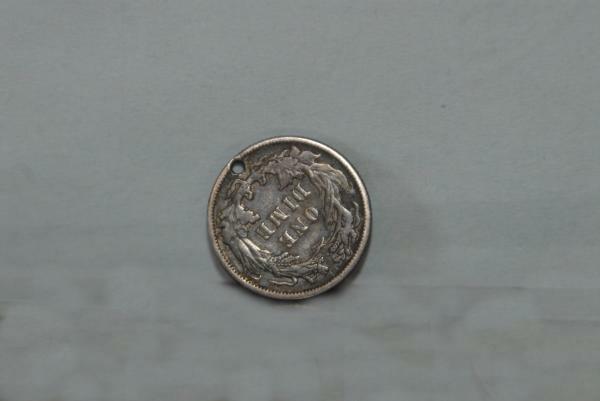 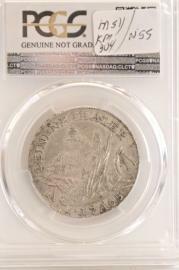 Lately, we have posted some coins that most "Coin Dealers or Coin Collectors" have NEVER SEEN BEFORE; INCLUDING MYSELF! 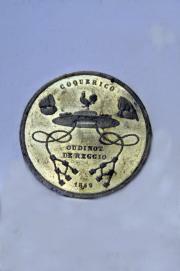 Just click on the coin(s) that you are interested in to enlarge them. 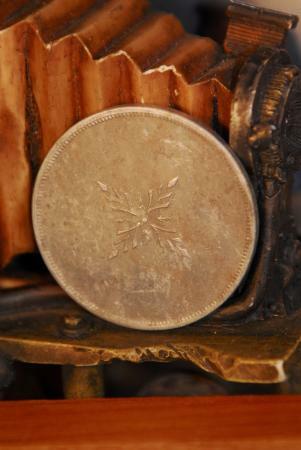 If you would like to view the back of the coin, simply click on the arrows. 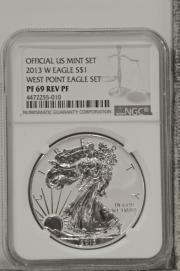 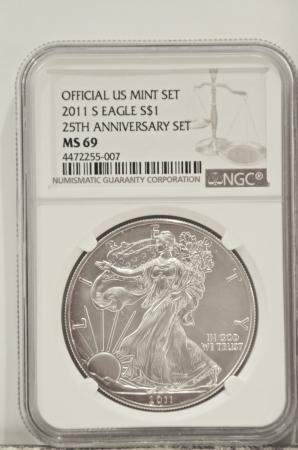 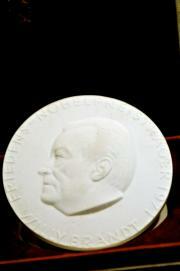 To purchase the coin(s) that you are interested in; call me directly to reserve your selections. 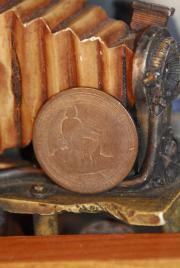 You may also send an email to; jfermrarecoin@yahoo.com, however, I do not always read my emails daily. 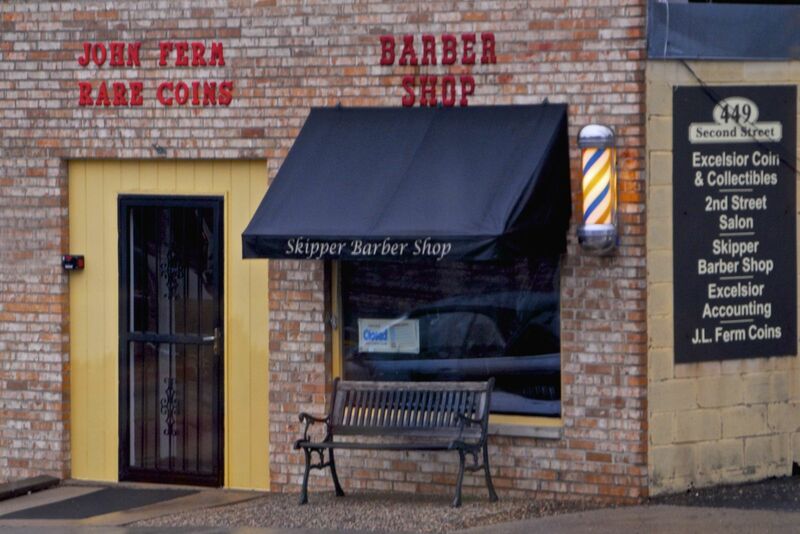 If you live in or around the western suburbs of Minneapolis, Minnesota; see me at my office located on 449 2nd Street in beautiful Excelsior, Minnesota, in the Lake MInnetonka area. 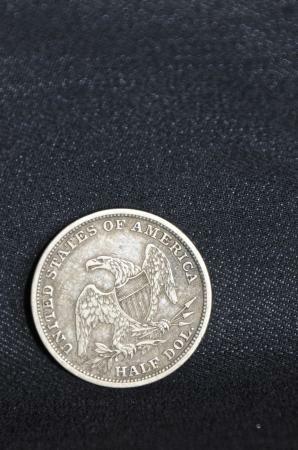 Grade: Counter Stamp "beautifully worn"